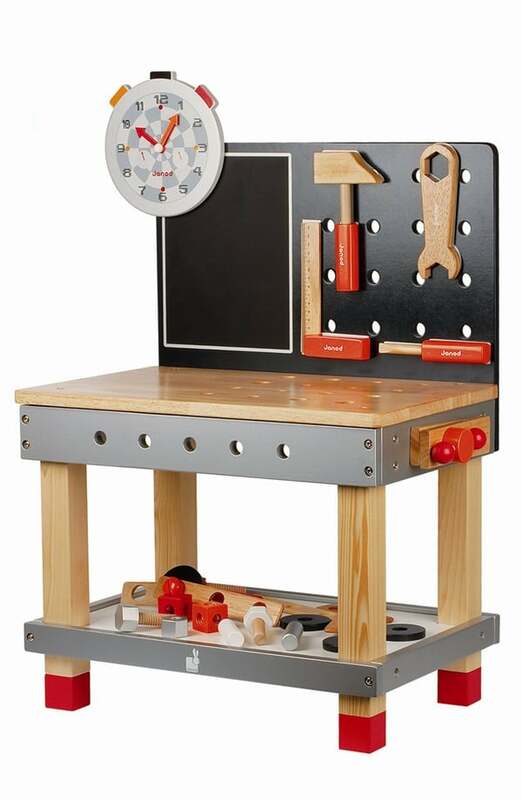 Your child's personality and passions really start to develop and grow between the ages of 4 and 6. 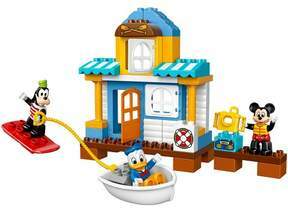 The toddler phase begins to melt away as they become a "big kid" and they start to want to play with toys that not only feature their favorite characters but are also playthings their classmates have at home. 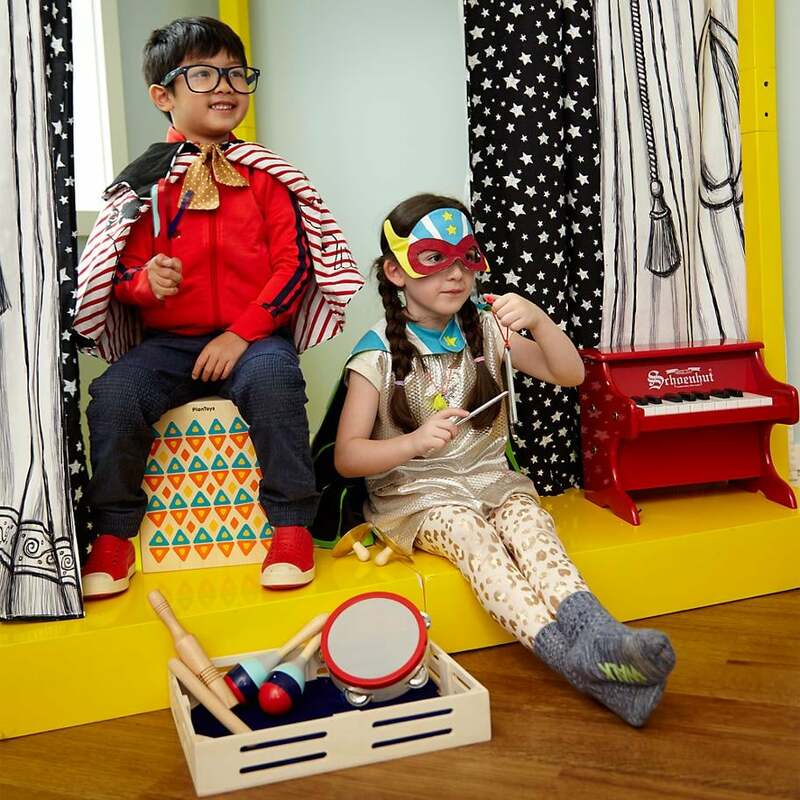 If you're looking for a child in this unique stage, look no further than this guide brimming with ideas for kids with all different interests. 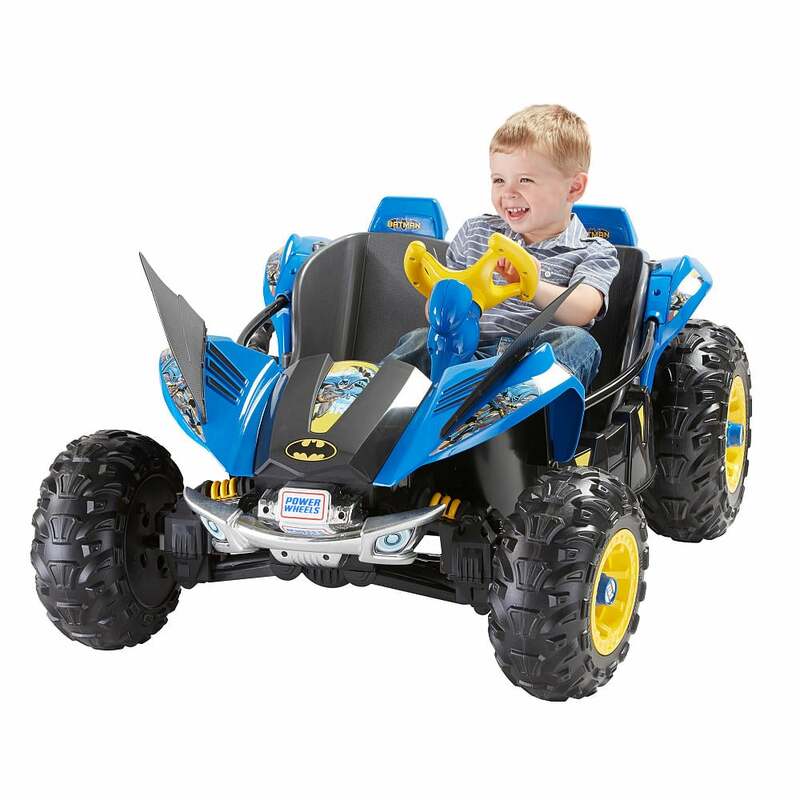 Scroll through for 145 gifts for the awesome 4- to 6-year-old in your life. 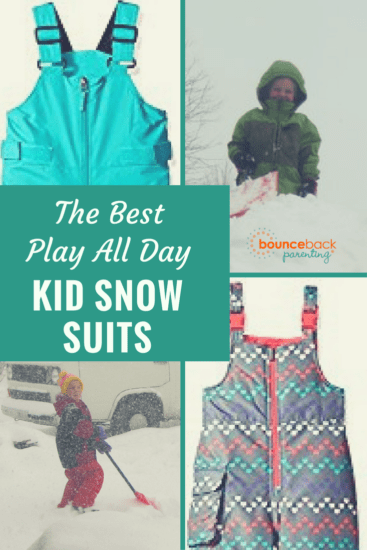 Looking to kill some time on a rainy day or want to put an entirely new spin on story time? 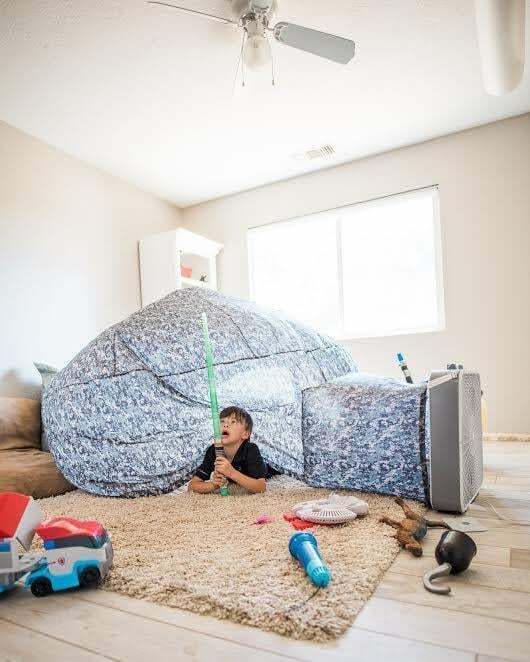 Climb into a lightweight Air Fort ($55) that takes all the work (and mess) out of constructing your kiddo's sanctuary. 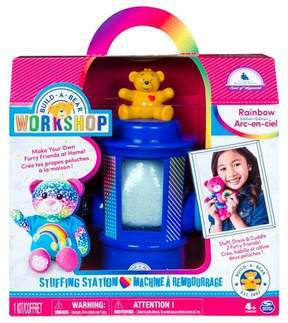 Bring the fun of going to the mall home with a Build-A-Bear Workshop Stuffing Station ($30). 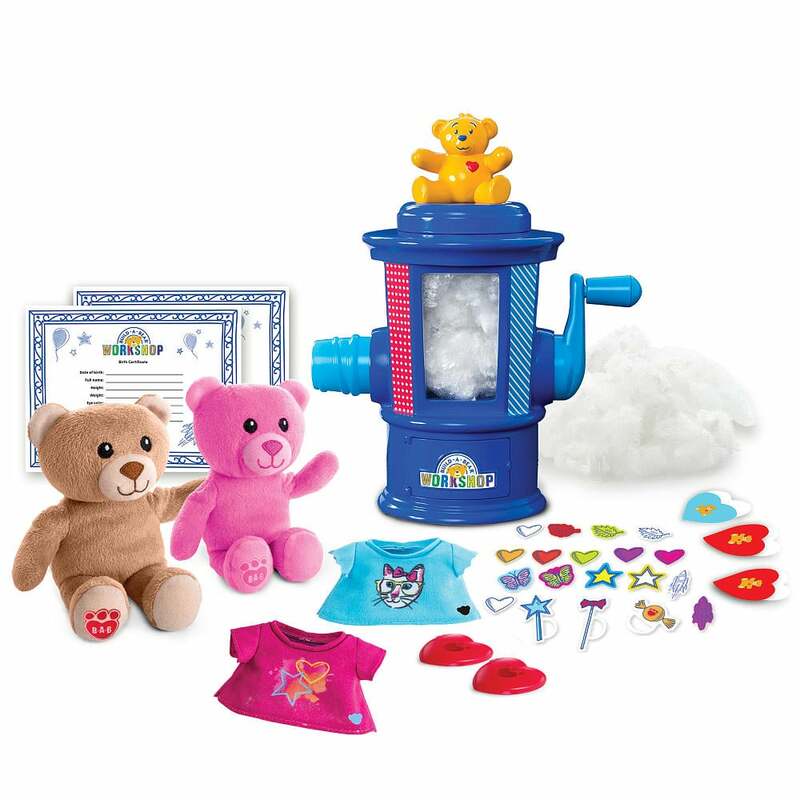 With this exciting kit, kids can stuff and dress two furry friends without having to leave the house. 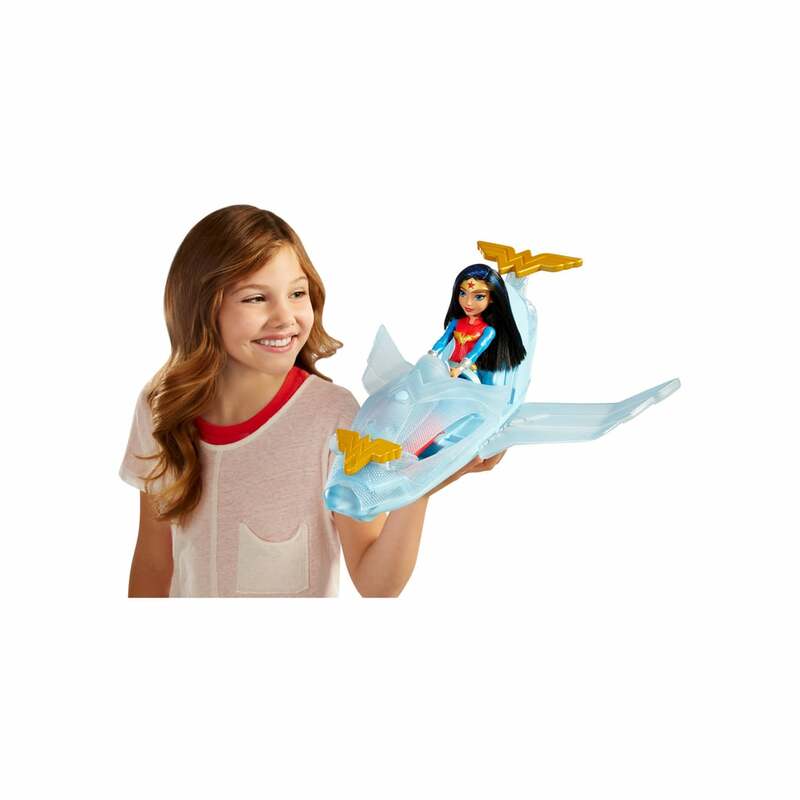 Nickelodeon's Shimmer and Shine show comes to life with the Fisher-Price Shimmer and Shine Magic Flying Carpet toy ($25). 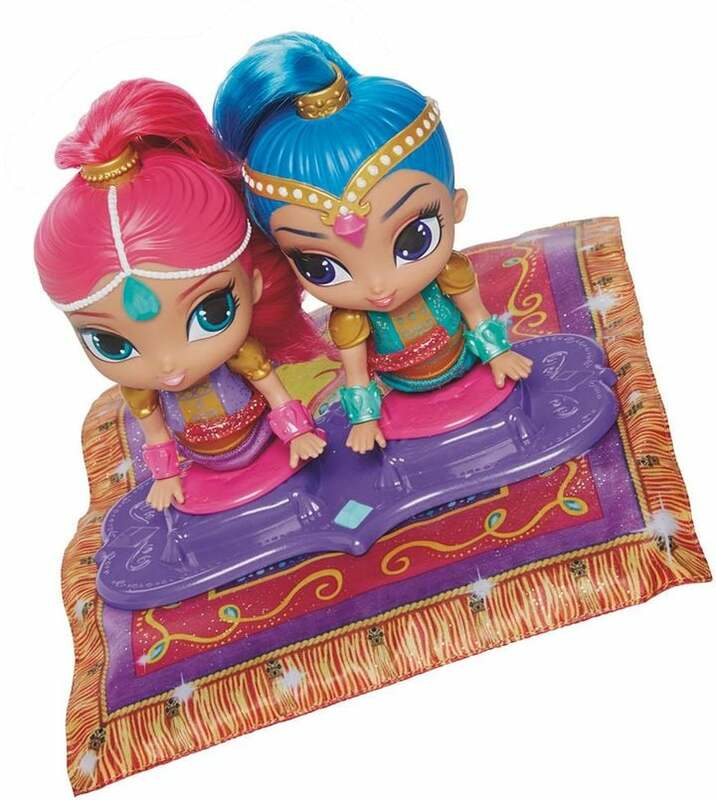 The motorized flying carpet plays over 40 songs and phrases from the show, while swaying to create a real flying feel. 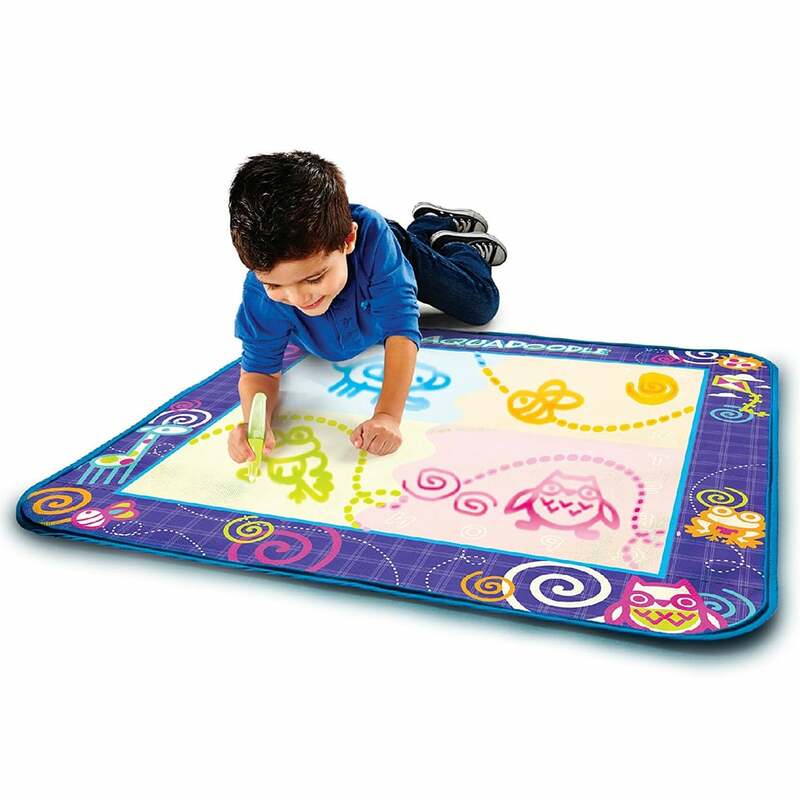 The carpet can also float across the floor. 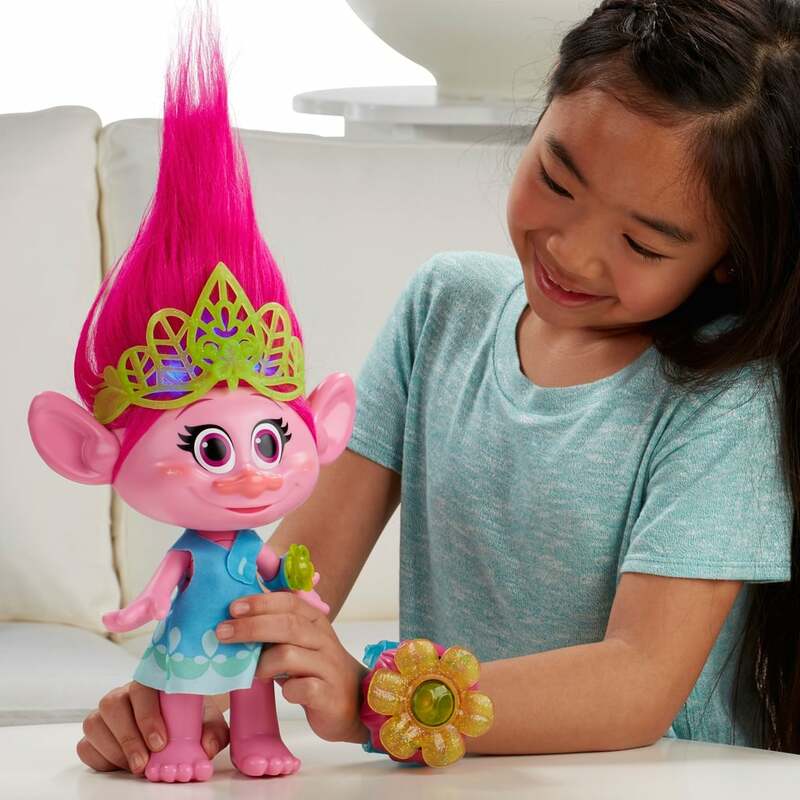 The star of the upcoming Trolls movie, Poppy (played by Anna Kendrick) comes to life for little ones via the Hug Time Poppy doll ($45, originally $50). 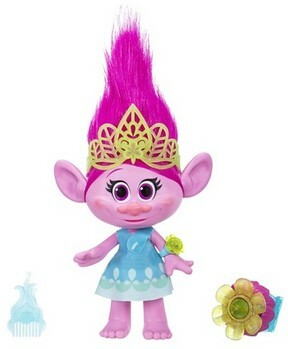 Both tots and the doll wear matching watches that allow the two to "talk" to each other. 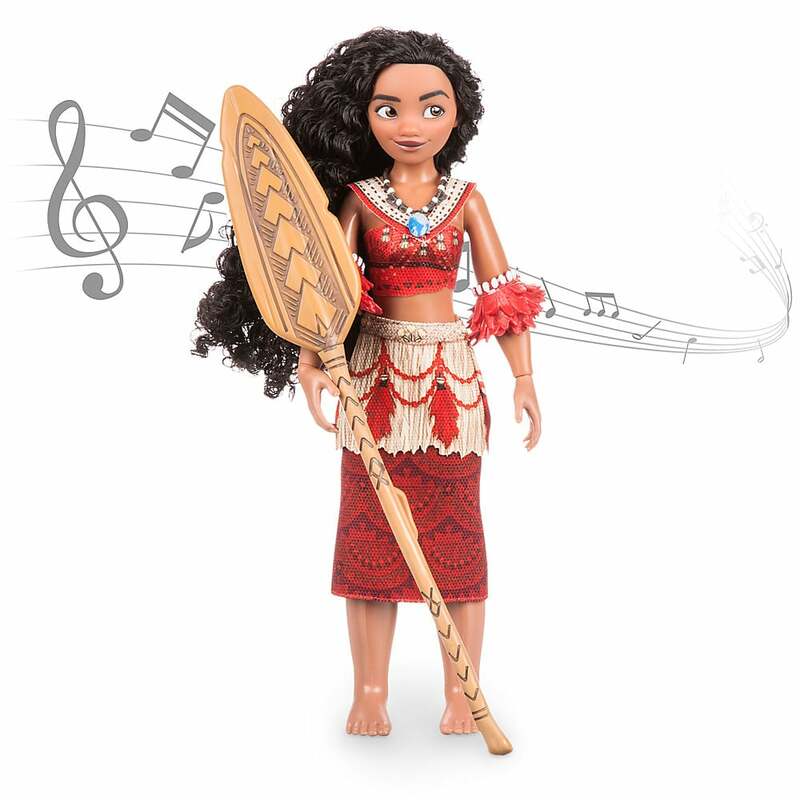 Little Elena of Avalor fans will be able to reenact their favorite scenes with their very ownmagical scepter ($27). 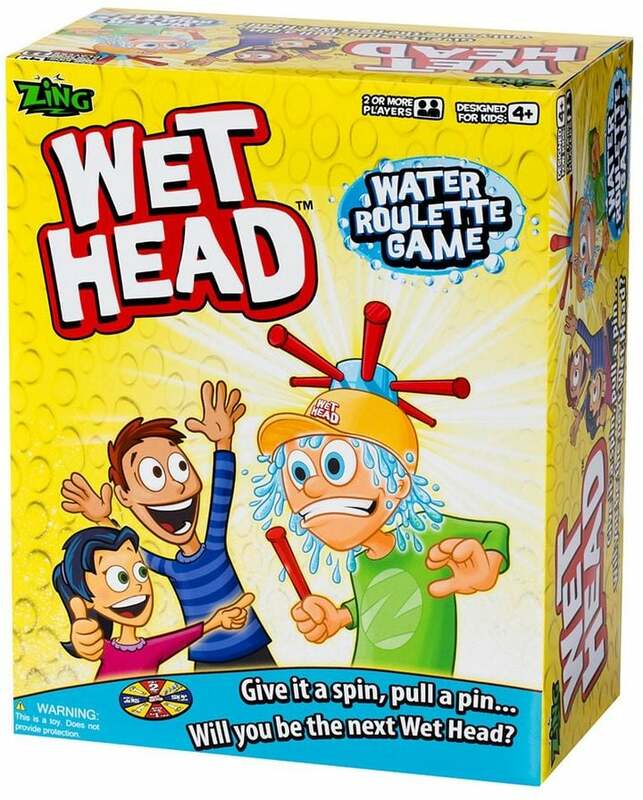 Everyone can get in on the fun of trying to win the wet head challenge while playing this family-friendly roulette game ($10). 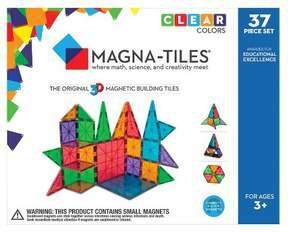 Magna Tiles ($59 for 32-piece set) allow tots to build up and out with pieces that feature magnets on every side. 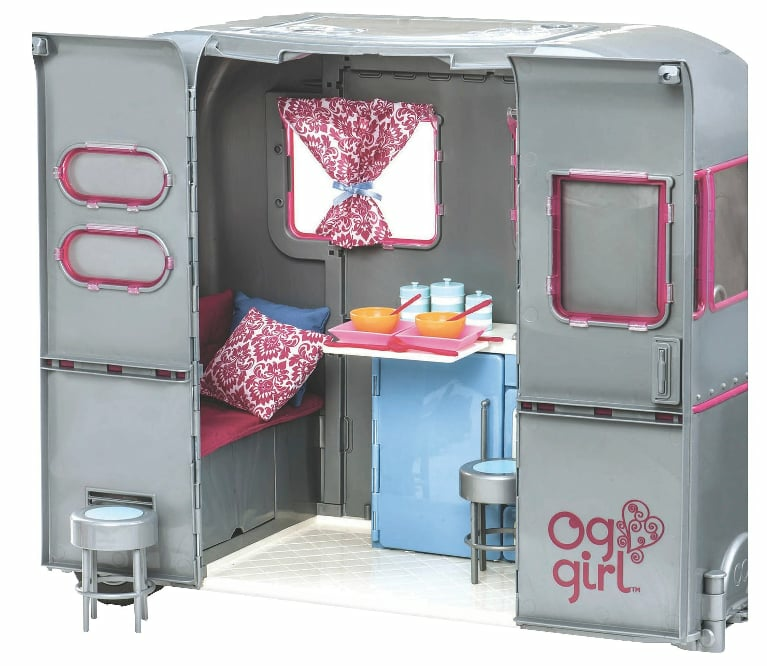 Think of this as the Barbie Dreamhouse for cars. 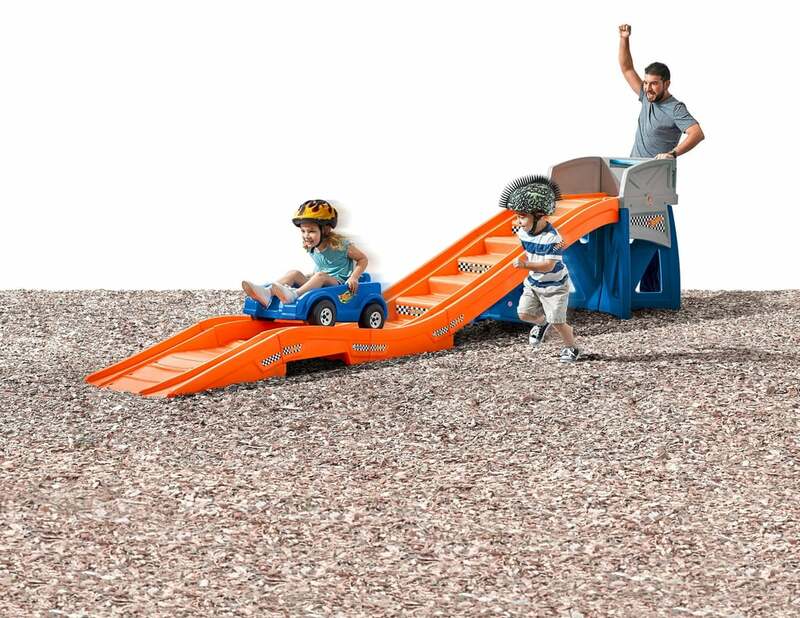 The Hot Wheels Ultimate Auto Garage ($88) not only stores 36 cars, it has spirals, tracks, and a gas station for play, too — not to mention a helicopter that comes with the set! 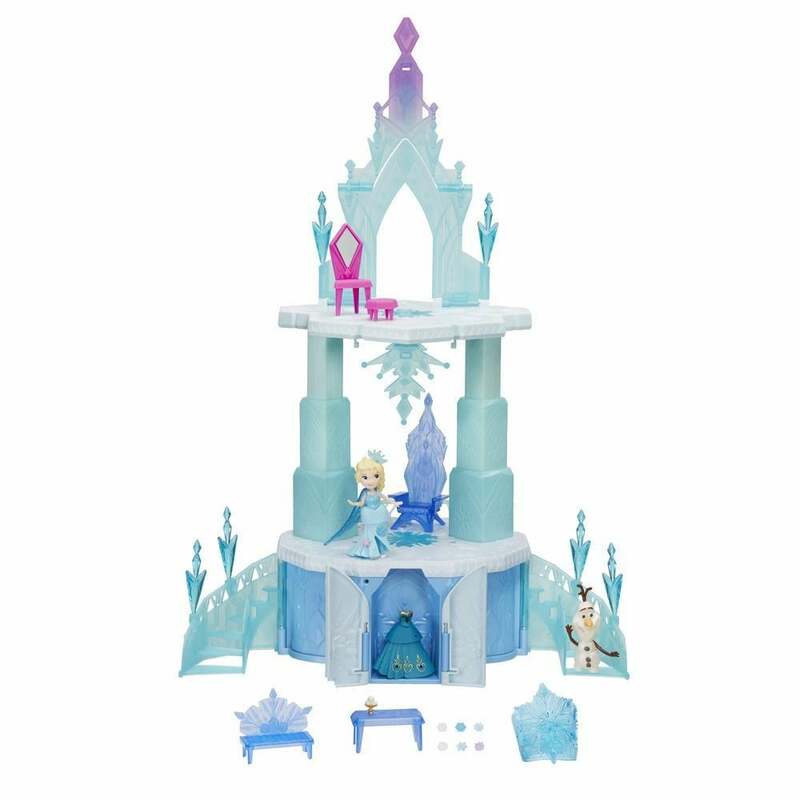 She'll be crooning out "Let It Go" regardless, so why not give her center stage? 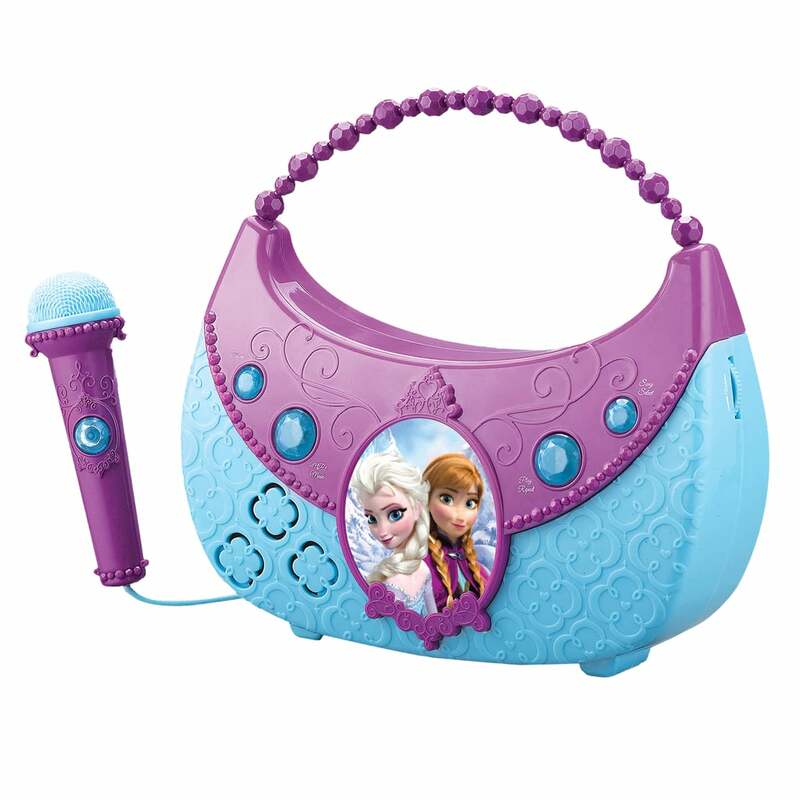 The Frozen Boom Box ($23) serves as a real, functioning mic, comes preloaded with music from the movie, and can connect to any MP3 player. 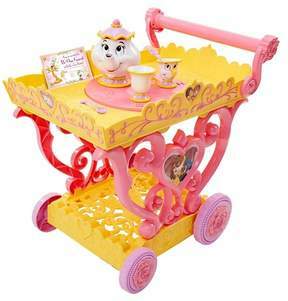 Jakks Pacific's Mrs. Potts and Chip — from Beauty and the Beast — get a fun upgrade with the Disney Princess Belle Musical Tea Party Cart ($48). 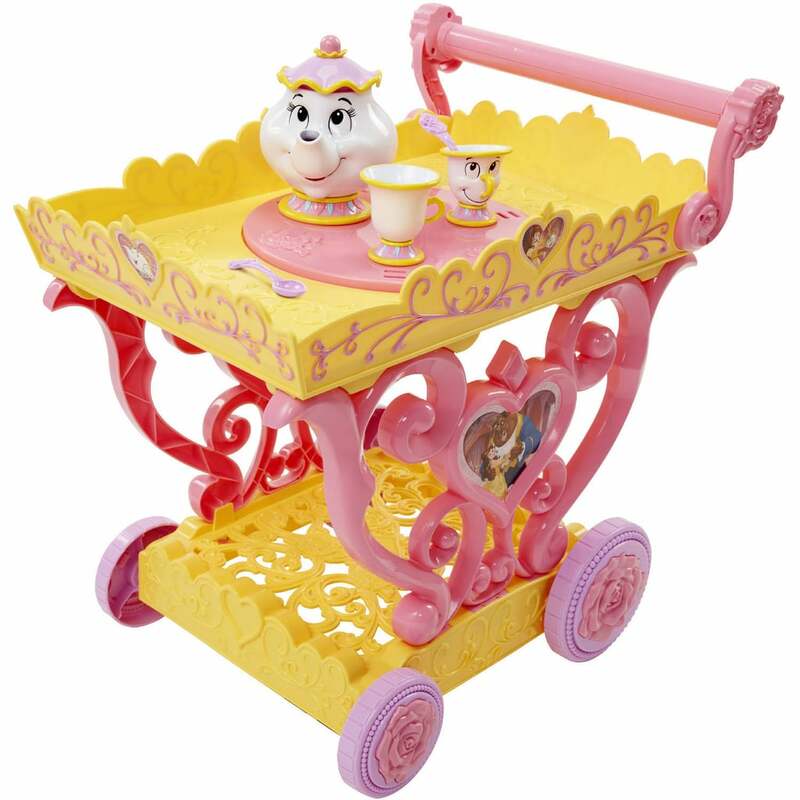 As the cart is pushed, the teapot and cup spin and play "Be Our Guest." 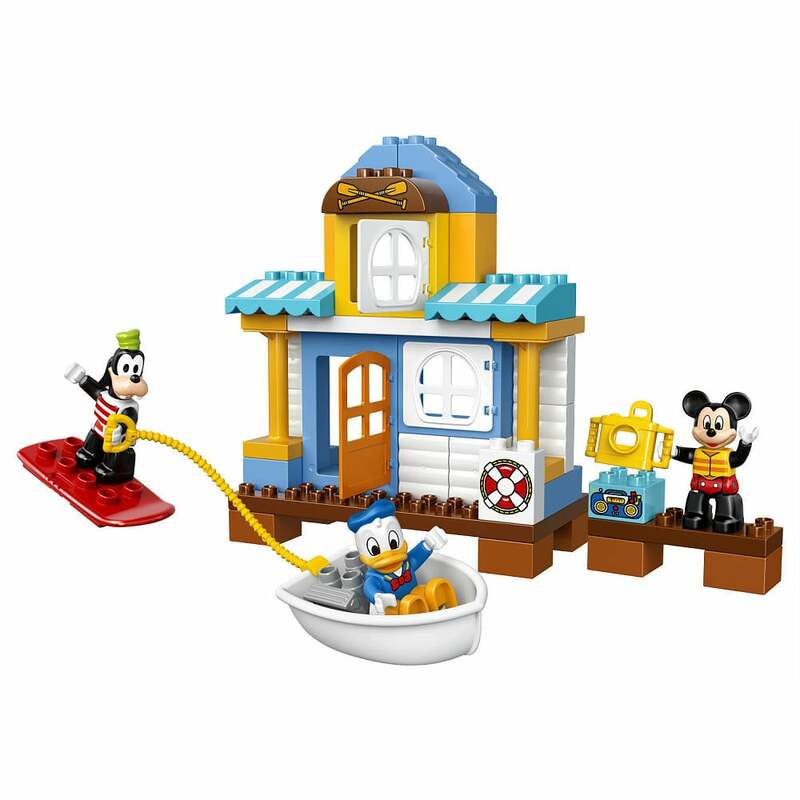 The Mickey and Friends Beach House ($28) is the newest addition to Lego's Mickey Mouse Clubhouse line, and considering Mickey's newest digs and Goofy's wakeboard skills, everyone will want to come over for some fun in the sun! 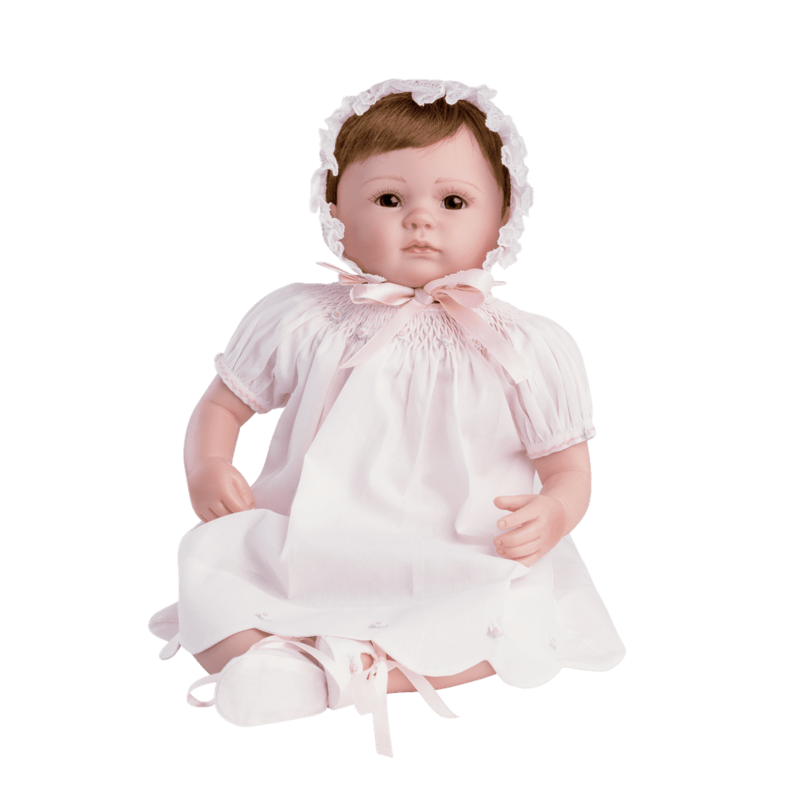 For 100 years, Feltman Brothers has created heirloom dolls ($149) that your little one will cherish now just as much as she will when she's older. 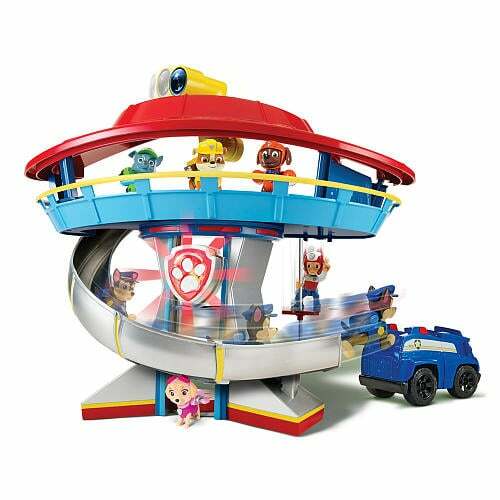 For tots who make tuning into Nick Jr.'s PAW Patrol a habit, the Lookout Play Set ($36) is an interactive playtime take on the canine crew's HQ. 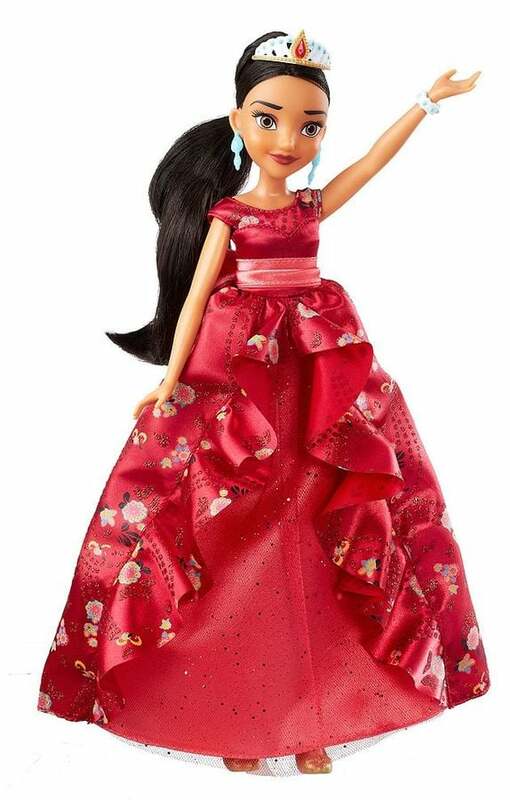 An Elena of Avalor Doll ($10) dressed for the royal ball comes complete with a glittery dress, tiara, bracelet, and removable shoes. Set your little one up for some superconstructive fun with Janod's Grow-with-Me Tool Bench($130). 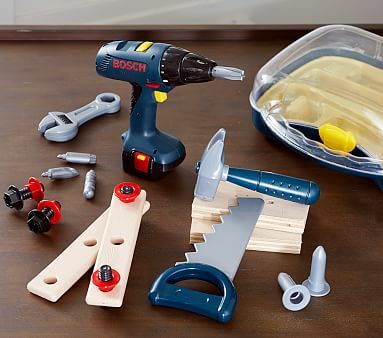 The wooden set includes every tool tots will need and is magnetic — meaning a smaller chance of lost pieces! 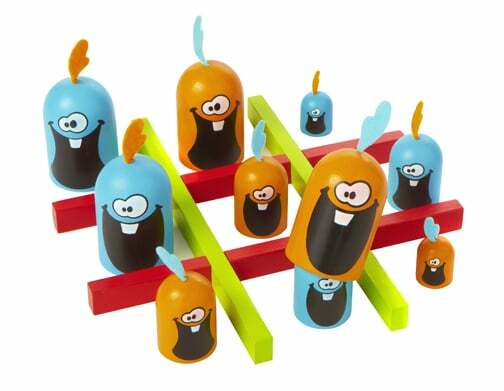 Blue Orange's wooden toys not only help the earth (it plants two trees for every toy sold), but games like Gobblet Gobblers ($17) also help teach memory and strategy skills for young learners. 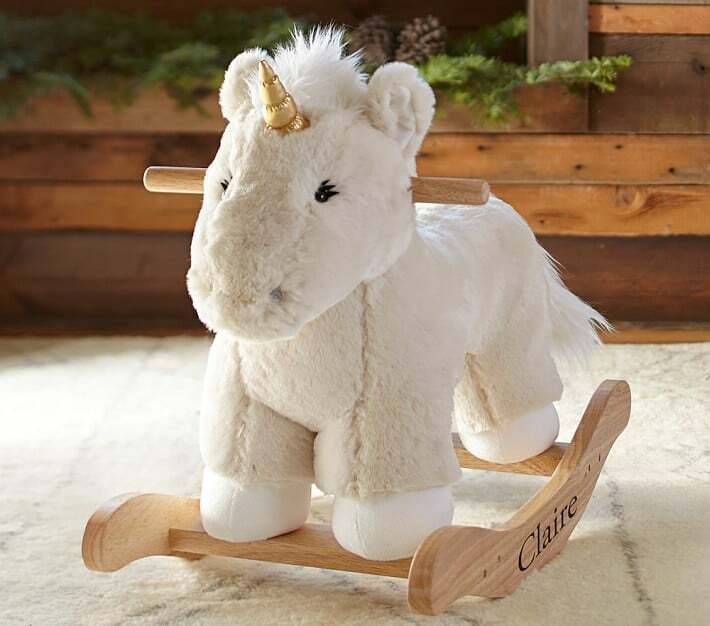 Your little one's dream of having a real, live unicorn can almost come true with the Furreal Friends Starlily Unicorn ($80). 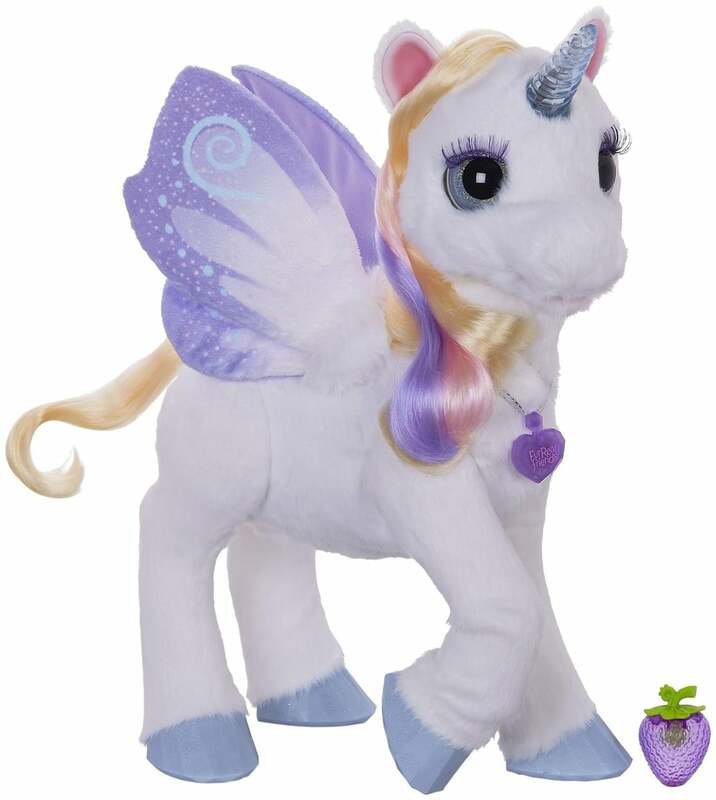 The unicorn responds to touch on its horn and chin and comes with a special strawberry that it likes to eat. 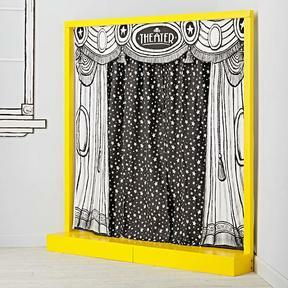 A virtual orchestra pit, B. 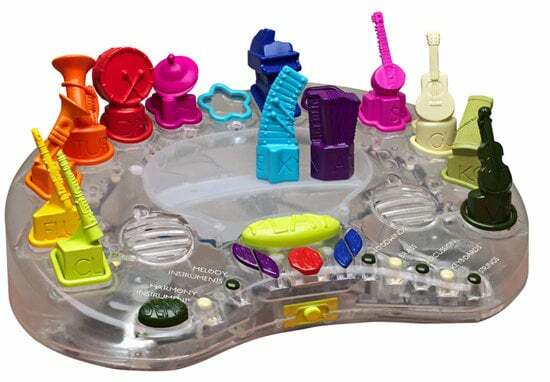 Toys' Symphony in B ($40) is preprogrammed with 15 songs and symphonies. 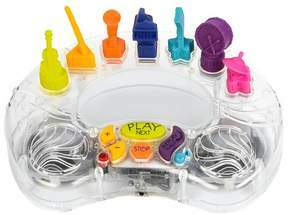 It comes with 13 instruments that can be added one at a time to the "stage" to actually create the music. So if the tuba, piano, and violin are on stage, the song sounds different than it does if the sitar, cymbals, and clarinet are there. 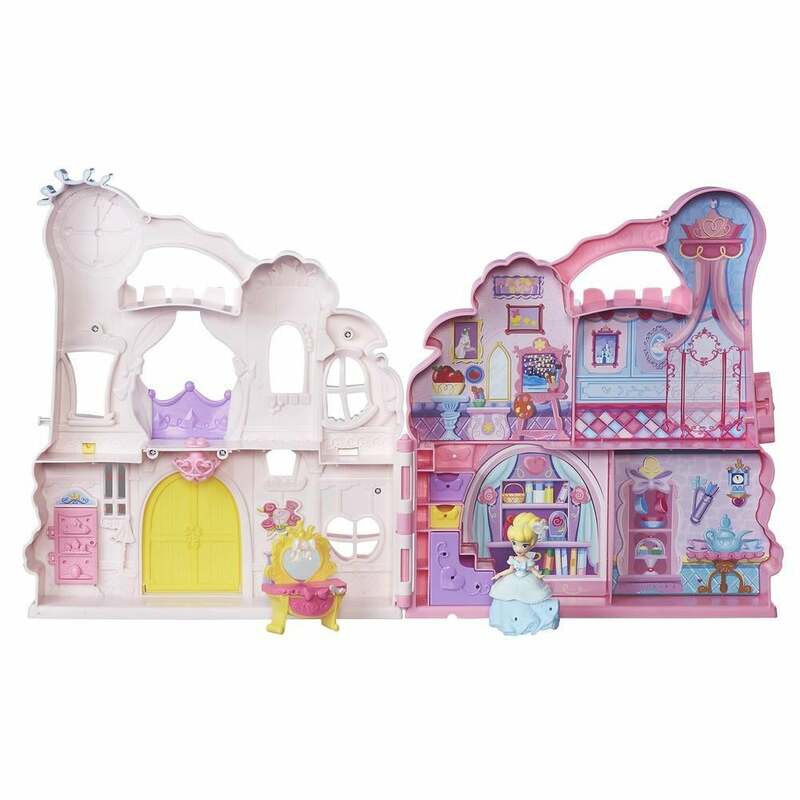 Bring the fun of enchanting stories wherever you go and then pack it all away for an easy cleanup with Disney Princess Play N Carry Castle Doll ($28). 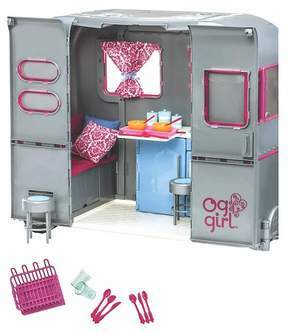 File this one under gross toys that kids love and parents just cringe at. 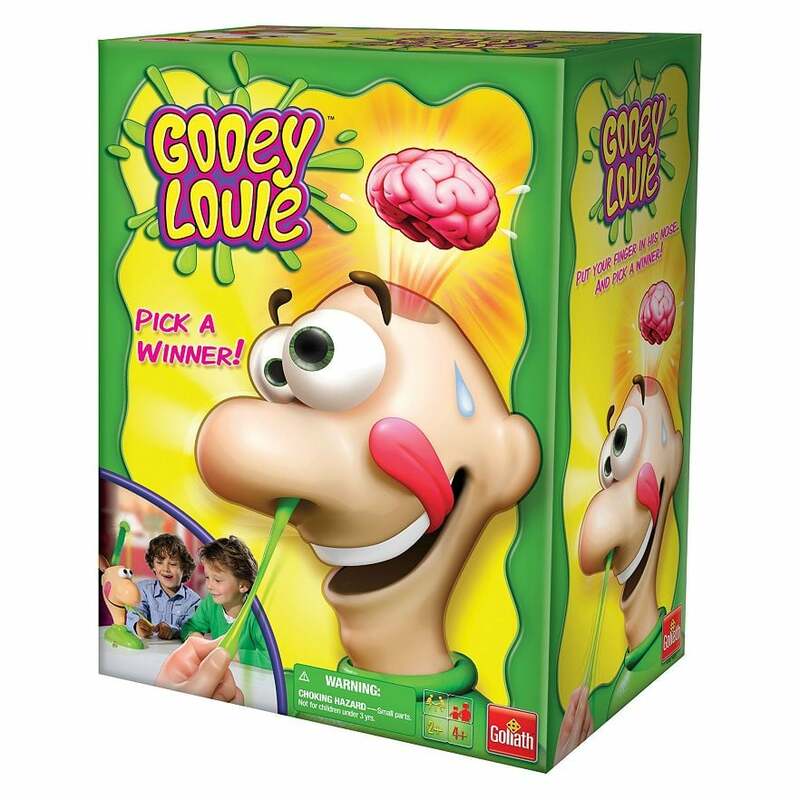 Gooey Louie ($7) has kids pick things out of Louie's nose in hopes of finding the right object. 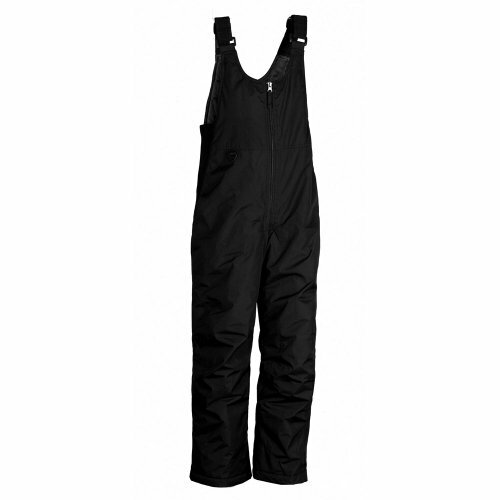 If the wrong one's picked, Louie goes a bit crazy! 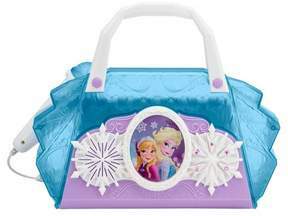 The Elena of Avalor Storytime Guitar ($25) will help turn your little princess into her favorite character. 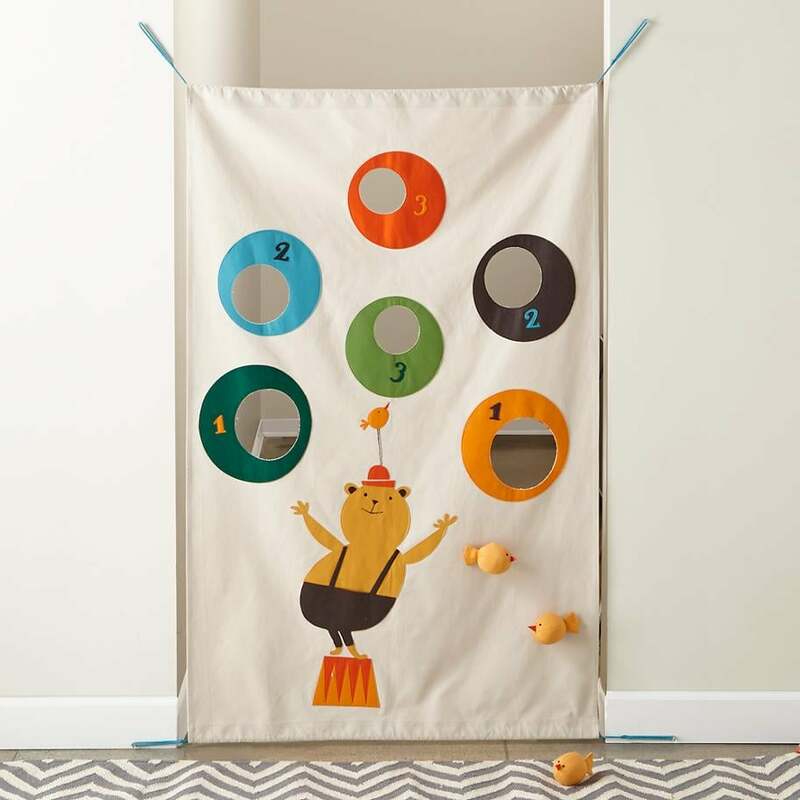 This adorable beanbag toss ($39) was designed by artist Bianca Gómez exclusively for The Land of Nod. 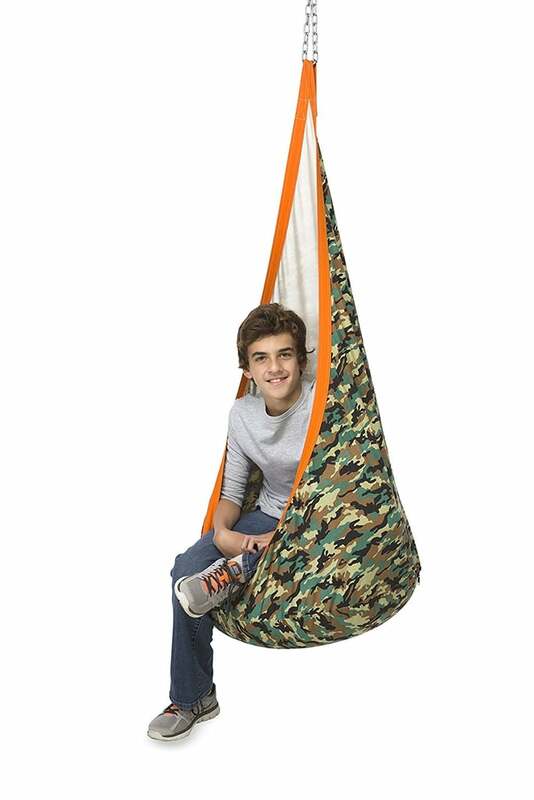 It comes with three beanbag birds and is easy to set up (and take down) in any doorway. 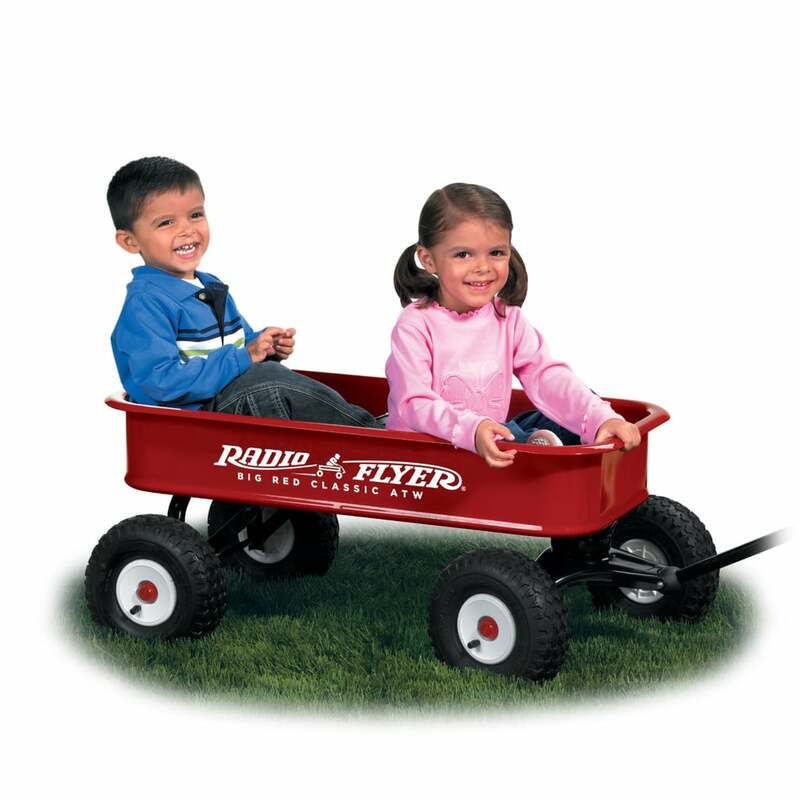 You child will be put to work with the new Matchbox Treasure Tracker Metal Detector Truck($23). A real working metal detector, the truck is just waiting to alert it's owner that it's found some treasure in the sand box! 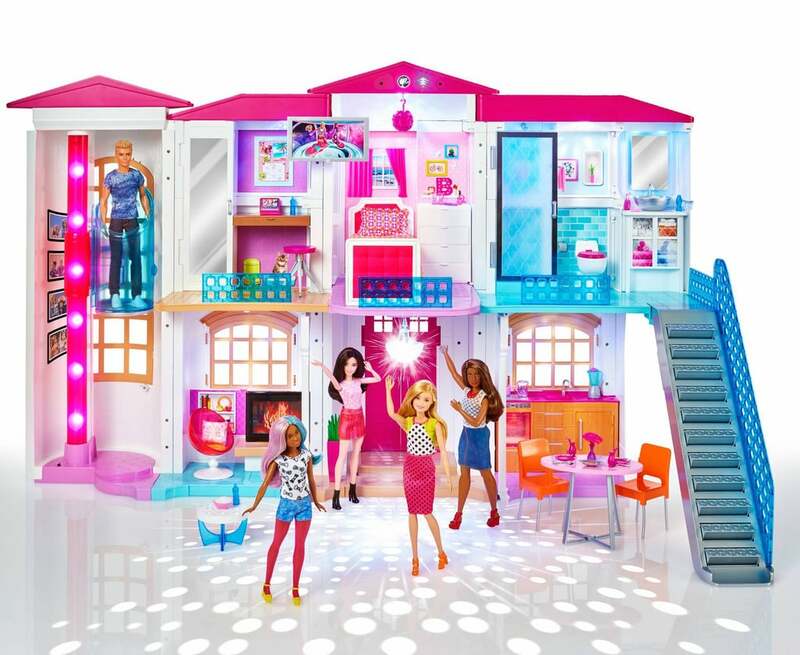 The hottest movie of the year has a boatload of toys for kids of all ages. 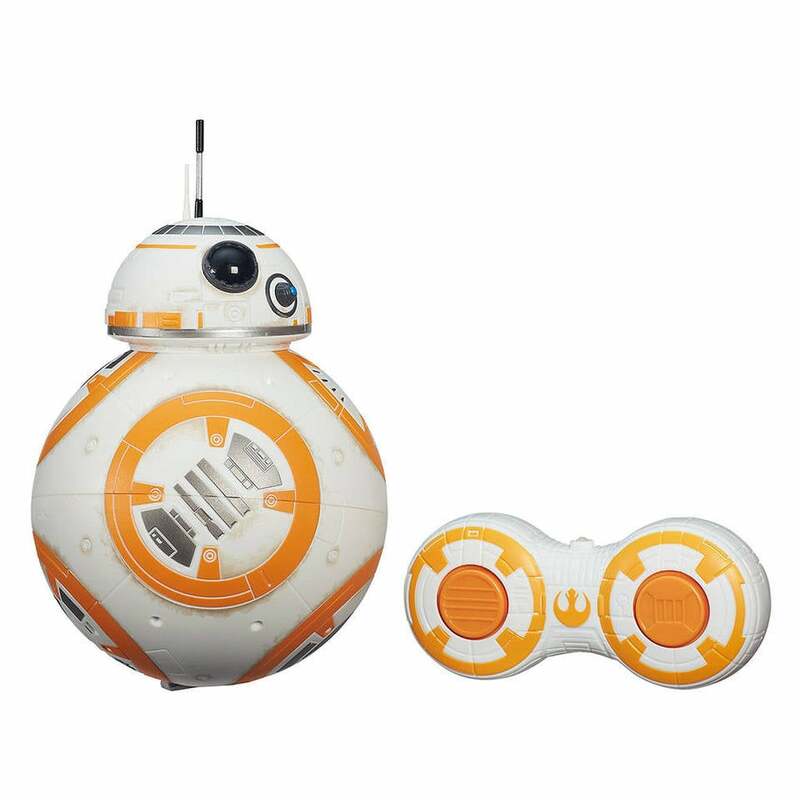 The remote control BB-8 ($70) is perfectly sized for little hands and makes movie-influenced sounds as it moves. 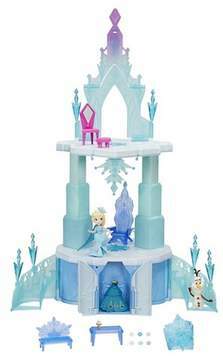 Just like Elsa in Frozen, your little one can soon wave their hands and watch their ice castle rise a full 20-inches before them. 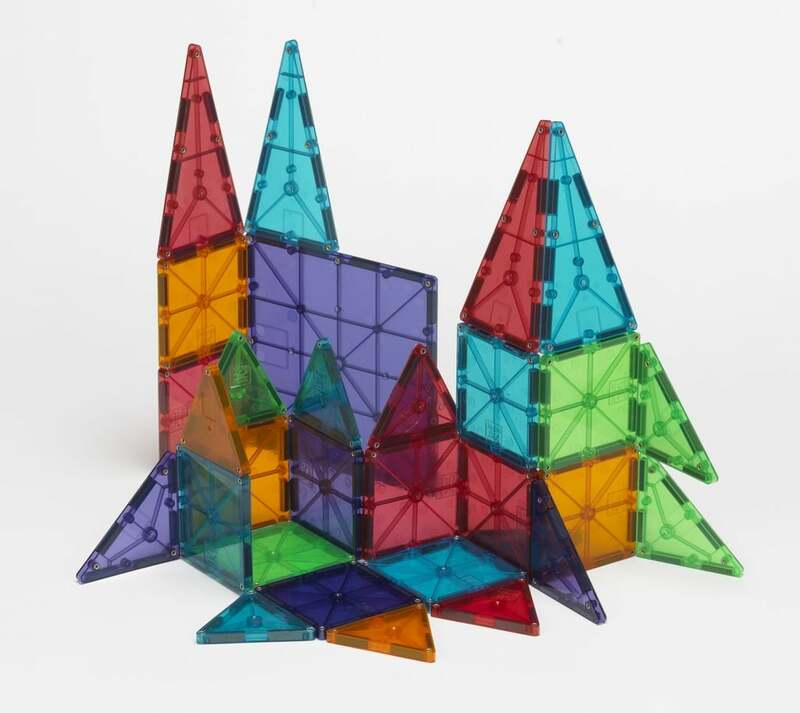 Yup, using magic, the castle ($59, originally $80) actually rises. 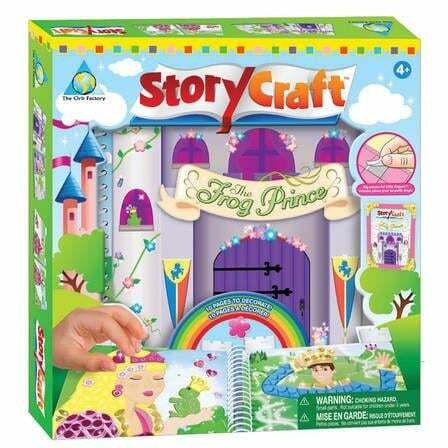 The Orb Factory's StoryCraft The Frog Prince ($30) allows for creative storytelling as tots add shapes and jewels to a 10-page storybook about the Frog Prince fairy tale. 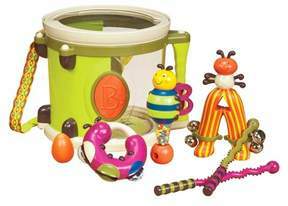 Your little one may not remember learning to eat solid food, but she certainly enjoys helping other tots do so. 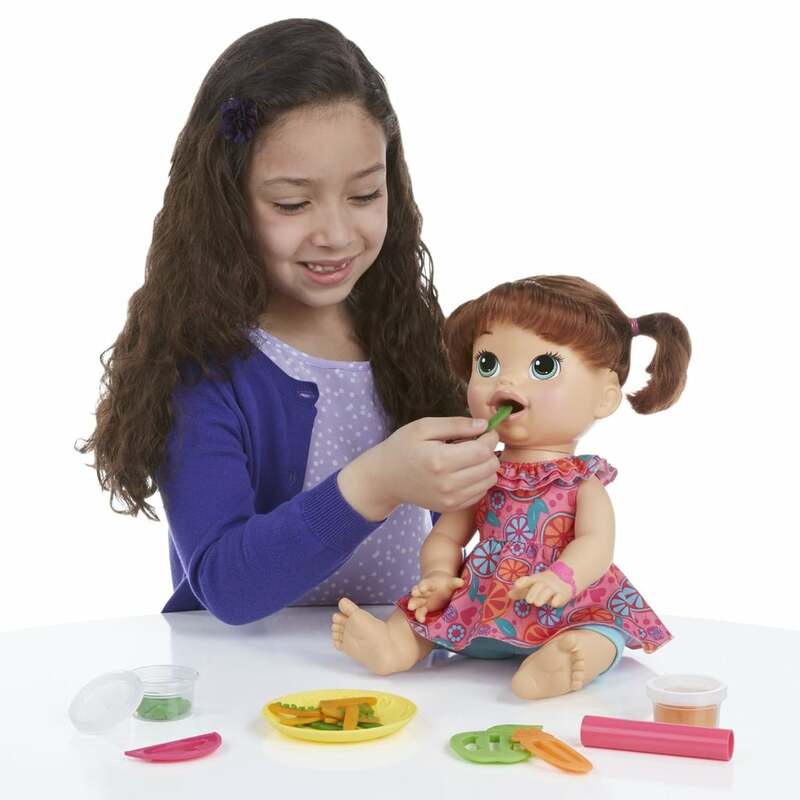 Baby Alive Super Snacks Snackin' Sara ($50) is the latest addition to the Baby Alive line, and watching the doll eat and then poop her Play-Doh-like food is sure to provide enjoyment for little ones. 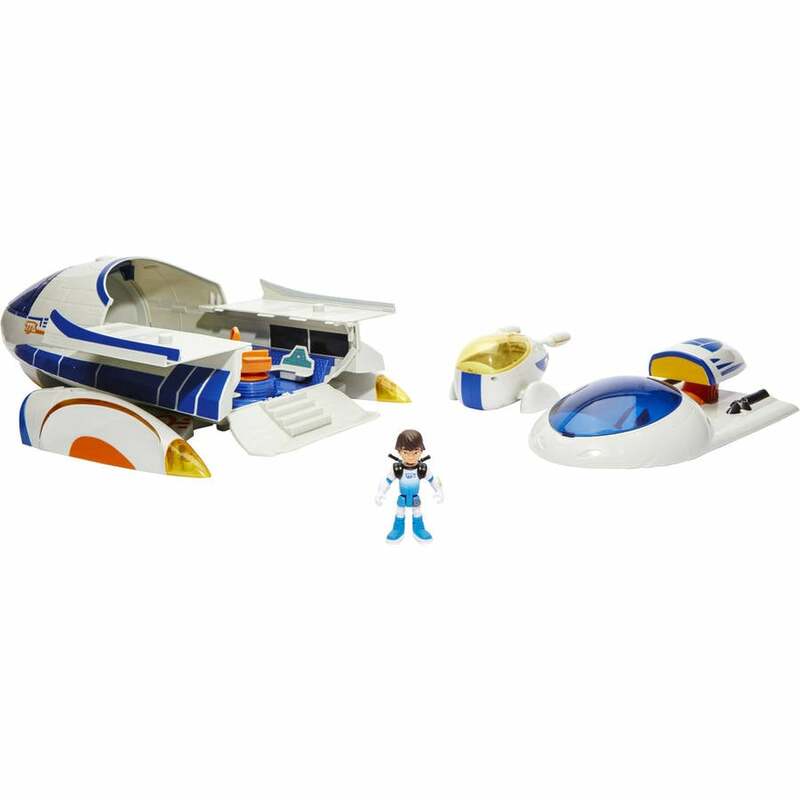 Miles From Tomorrowland blasted into our kids' hearts this year and the new toy line makes our hearts grow fonder. 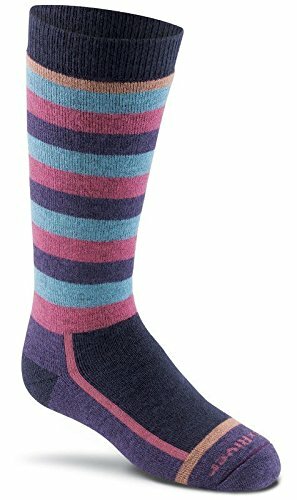 They're sweet and fun, just like Miles himself. 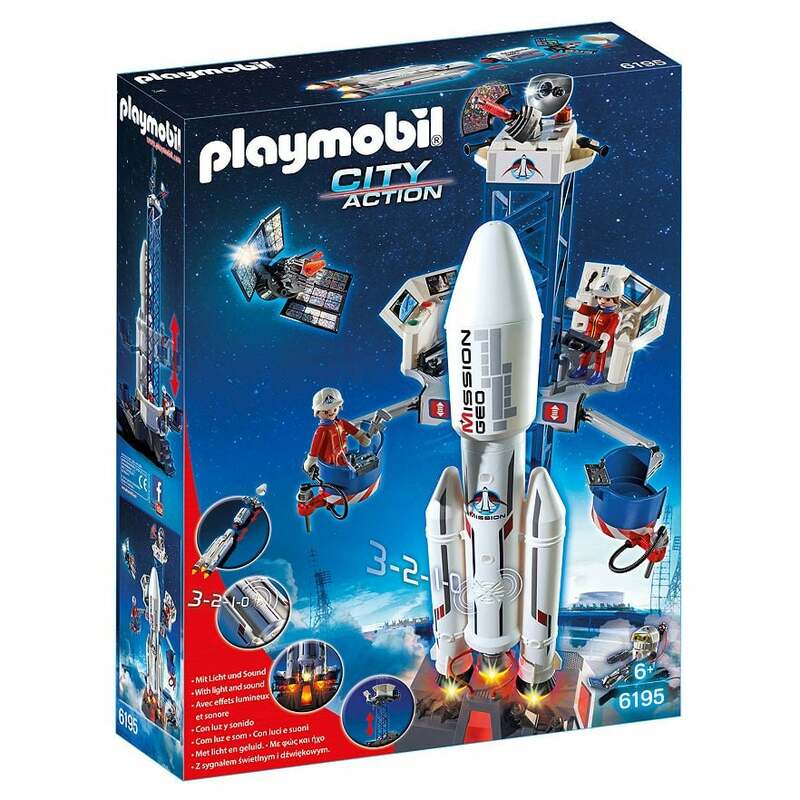 The Photon Flyer ($20) is actually Mile's go-to mode of transportation, just aim and send him off. How cute! 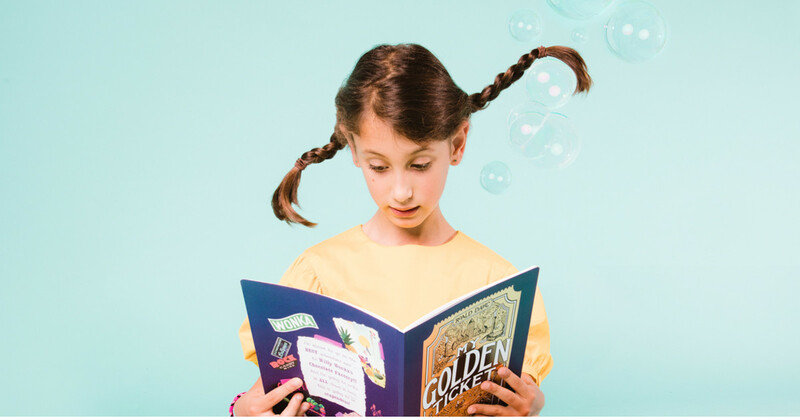 Not all fairy tales are about princesses, as GoldieBlox and the Spinning Machine ($19) proves. 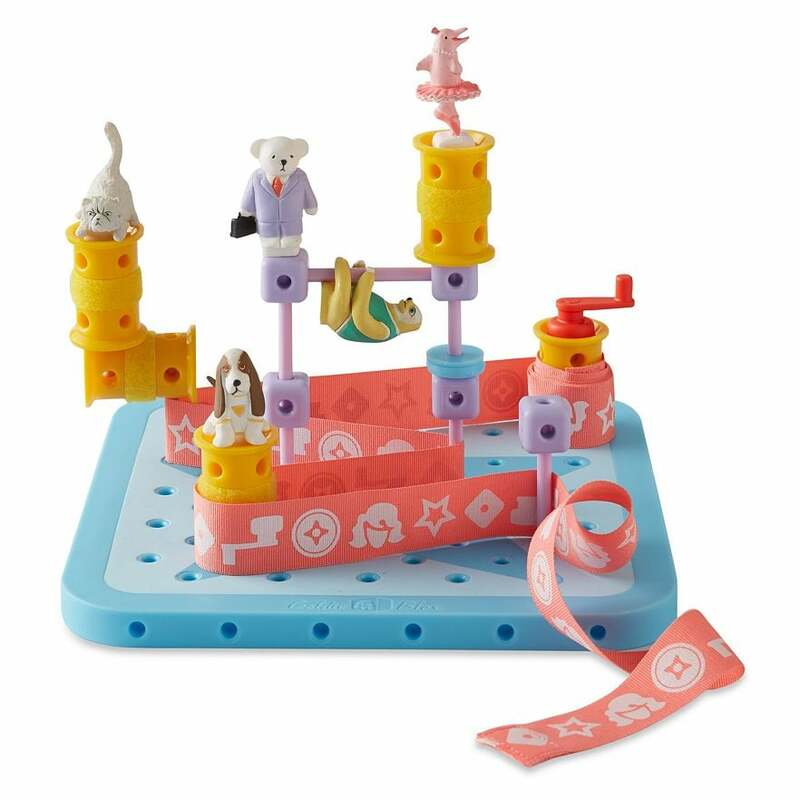 Part of a construction toy and book series for girls, GoldieBlox shows little ladies that engineering and fun aren't mutually exclusive. 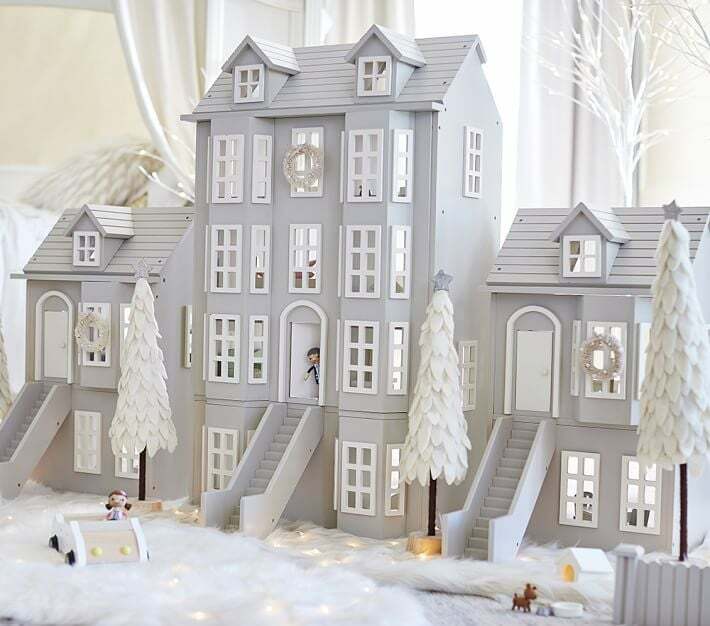 The story's star is a young inventor who fashions a belt drive out of pegs, axles, wheels, and ribbon, right alongside her readers. 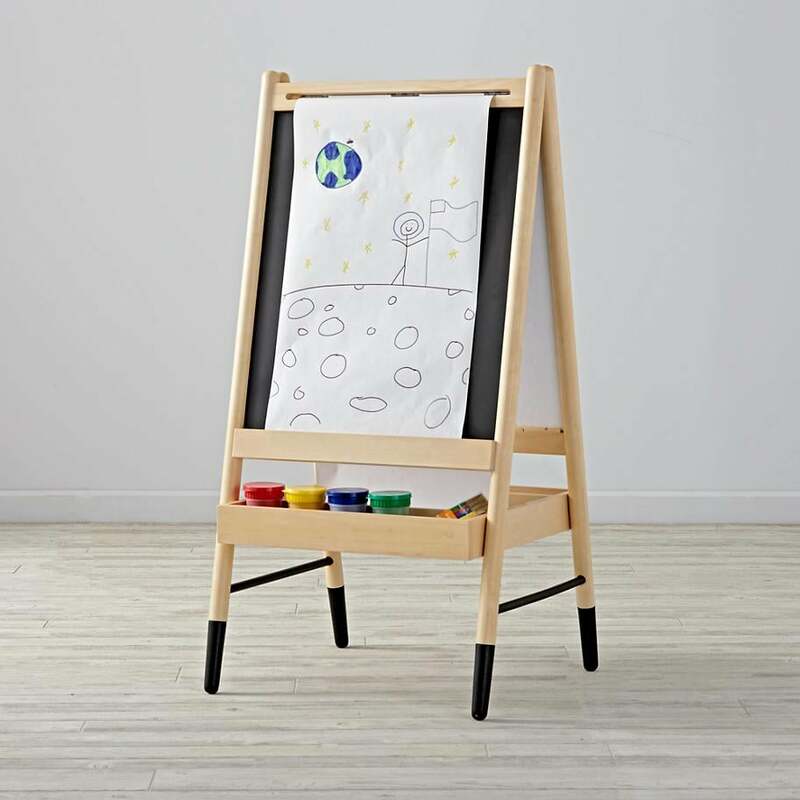 The LeapReader ($51) is designed to teach kids how to read and write all in one place. 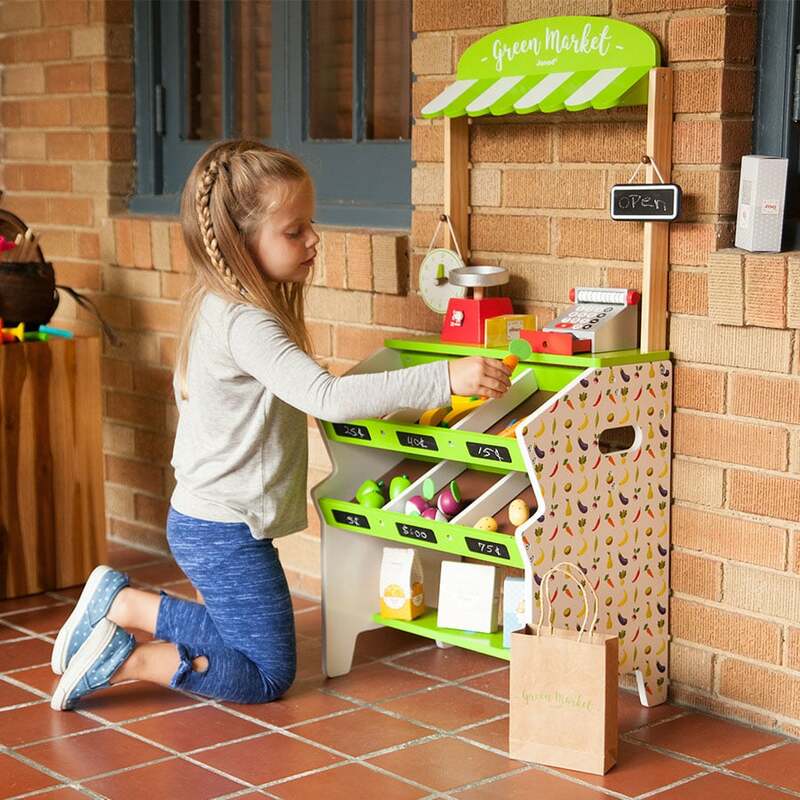 As a next-generation Tag — LeapFrog began phasing out the Tag system last Summer — the LeapReader continues to teach tots to sound out words and read sentences through its library of 150 or so books, while also teaching preschoolers how to write their numbers and letters through structured stroke lessons. 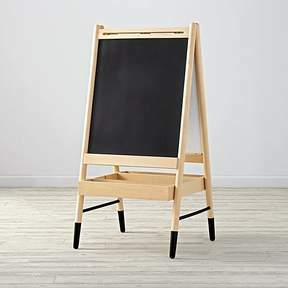 Slimmer and easier to hold than the original Tag, the new system's reading experience feels exactly the same as the old version — place the stylus on the page, and it will sound out words, read whole words, or read entire sentences. Where the system excels is in the new writing experience and a listening experience that now includes music. 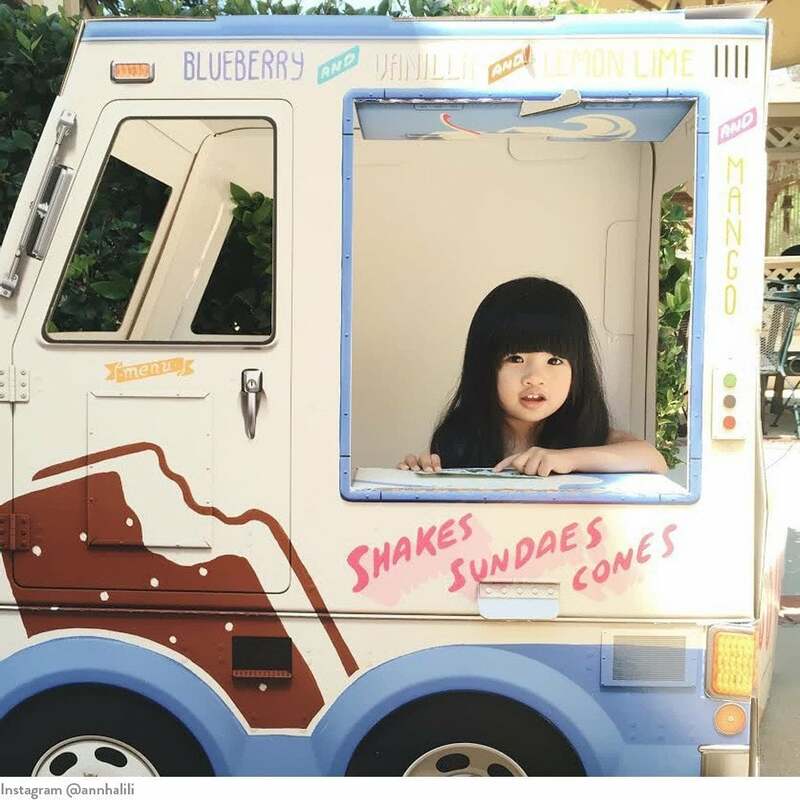 Just how steady is your tot's hand? 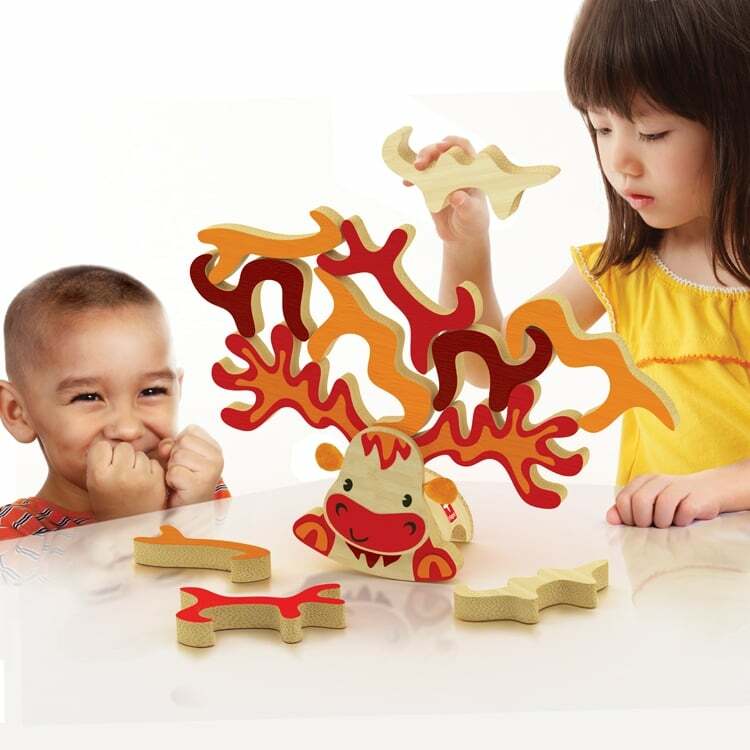 With Hape's Super Moose ($45, originally $50), kids test their dexterity and stability as they try to add antlers to the moose's head — without knocking down the wooden pieces! 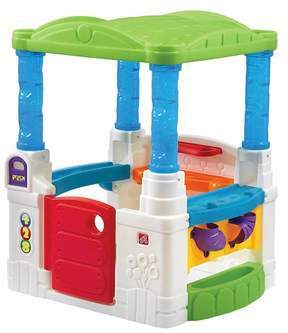 The Rescue Bots' newest playset looks very familiar to fans of the show. 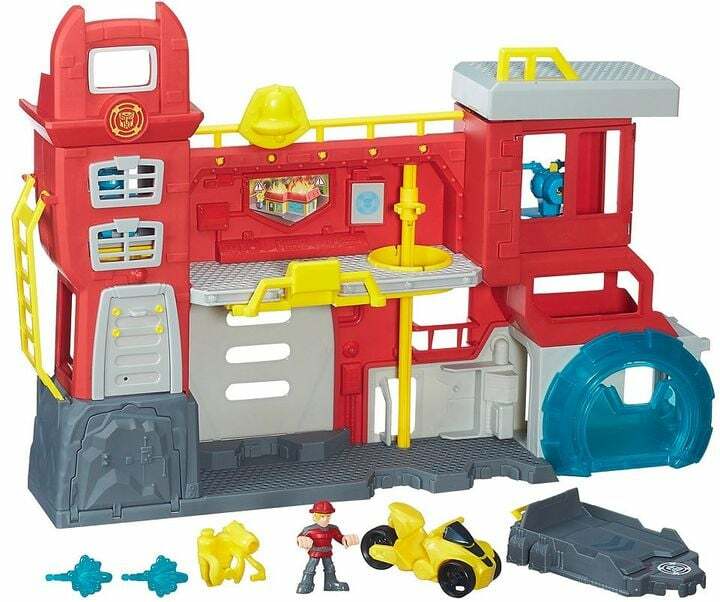 The Firehouse Headquarters ($20) is an exact replica of the one on TV. 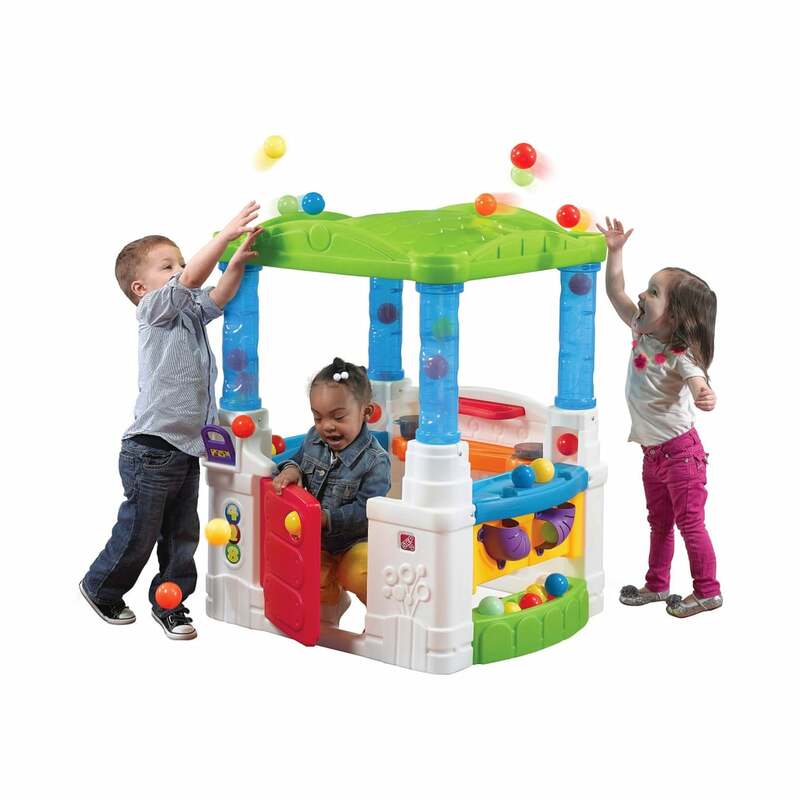 As a part of Fisher-Price's new Think & Learn line, the Smart Scan Word Dash ($25) teaches tots early literacy skills and helps tots connect animals and their habitats. 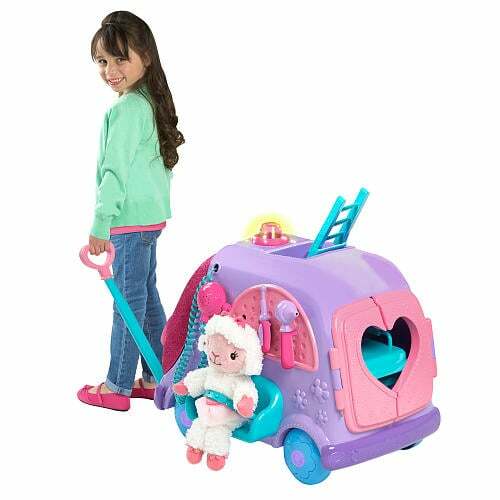 A showstopper of a gift for your little Doc McStuffins fan, the Get Better Talking Mobile Cart($45) includes a working CB radio (for calling in those toy emergencies), a motion-activated siren, and even a light-up EKG. 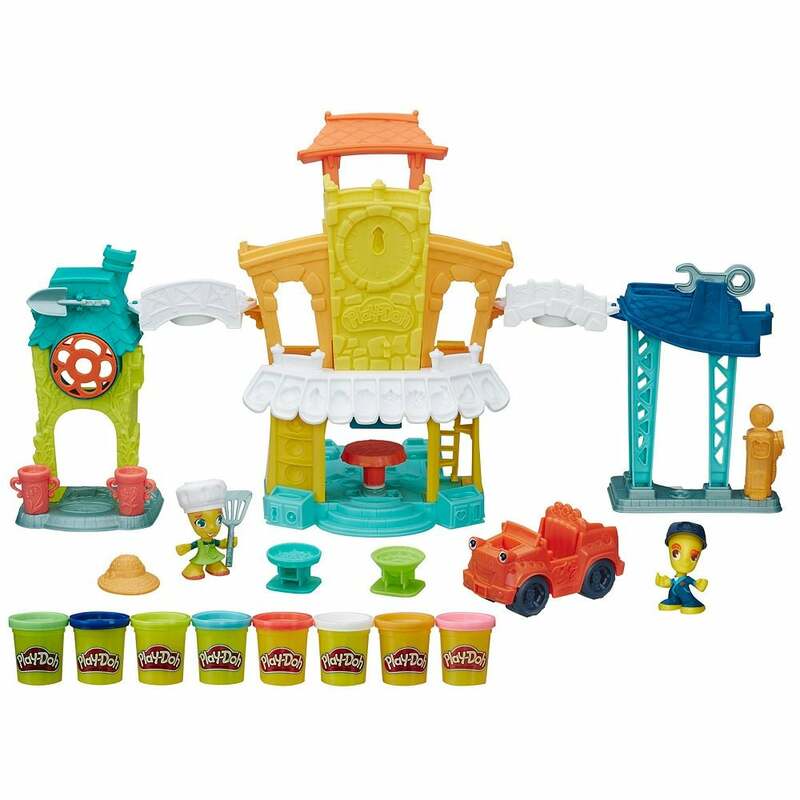 Play-Doh introduced 17 city-based kits ($20), and all of the sets are interchangeable with other sets. Each is packed with hidden surprises like half molds and beards for the figures. 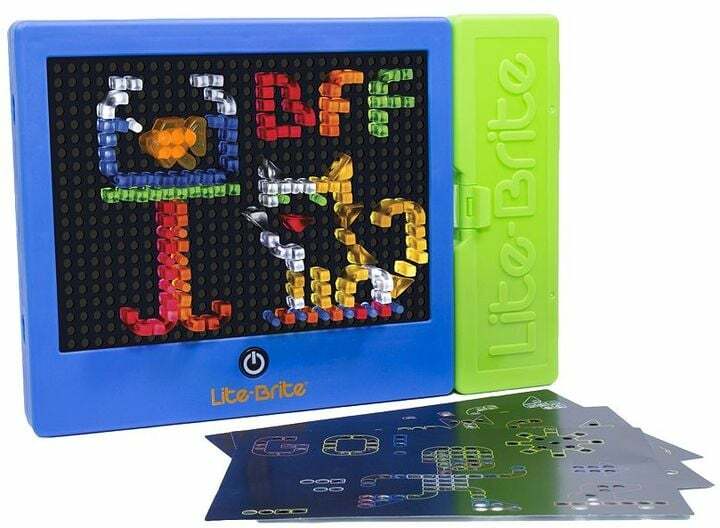 Lite Brite got a makeover! 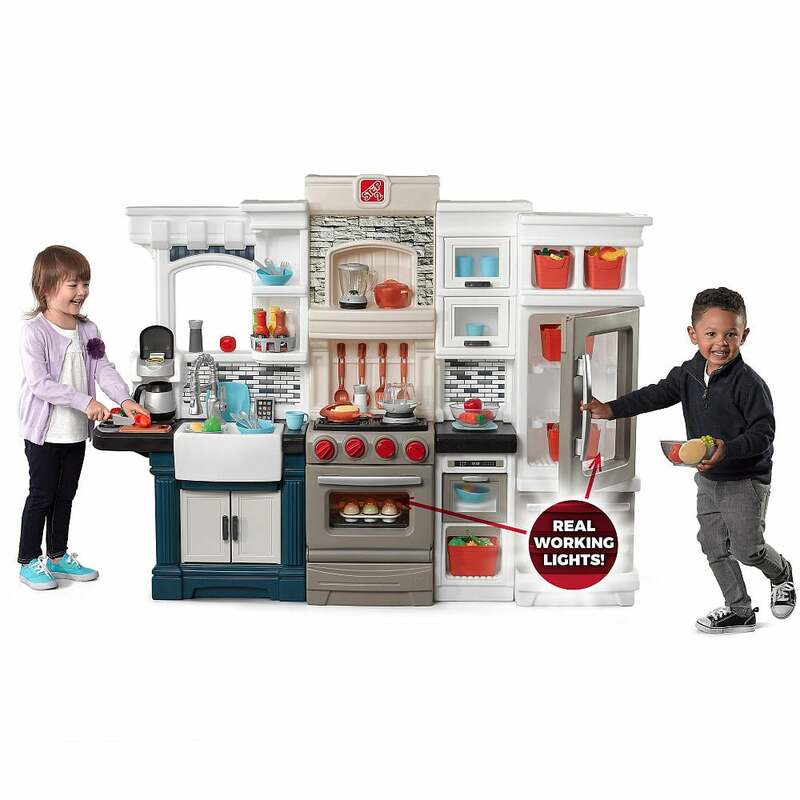 The new set ($22) comes with new piece shapes — including elbows, triangles, and fish — four light modes, and a translucent carrying case to make finding pieces easier (especially on the go). 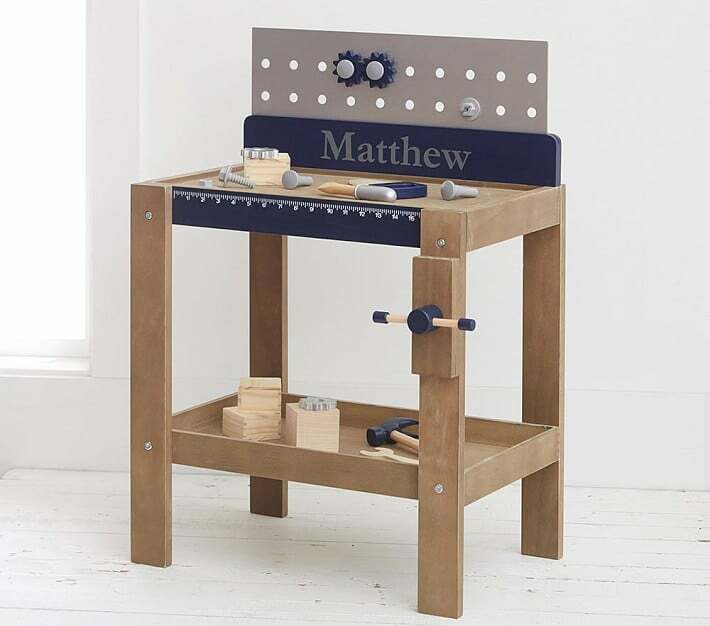 Yup, his name really explains what he does. Pax may look adorable, but after feeding him some "treats," your little one will be cleaning up after Fur Real Friends Pax My Poopin' Pup ($18). 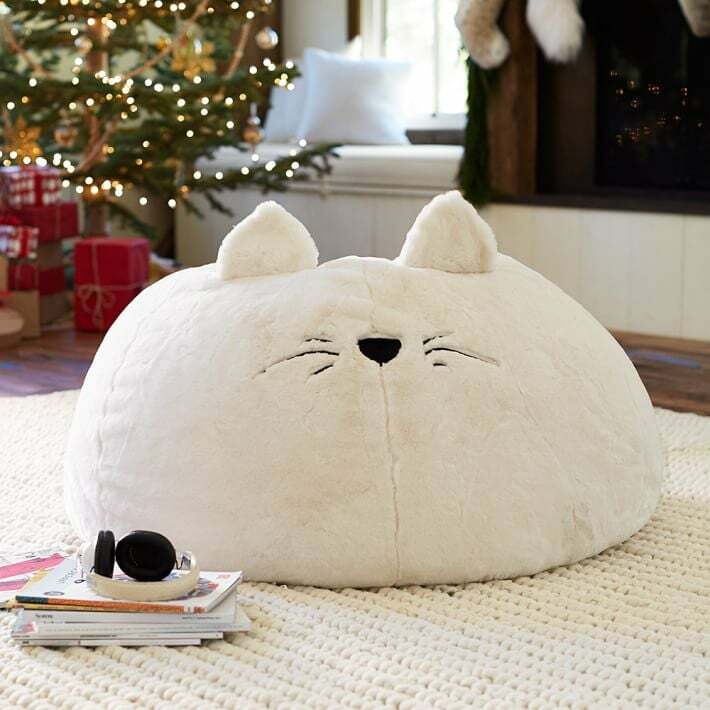 Maybe it's good practice for a live family pet. 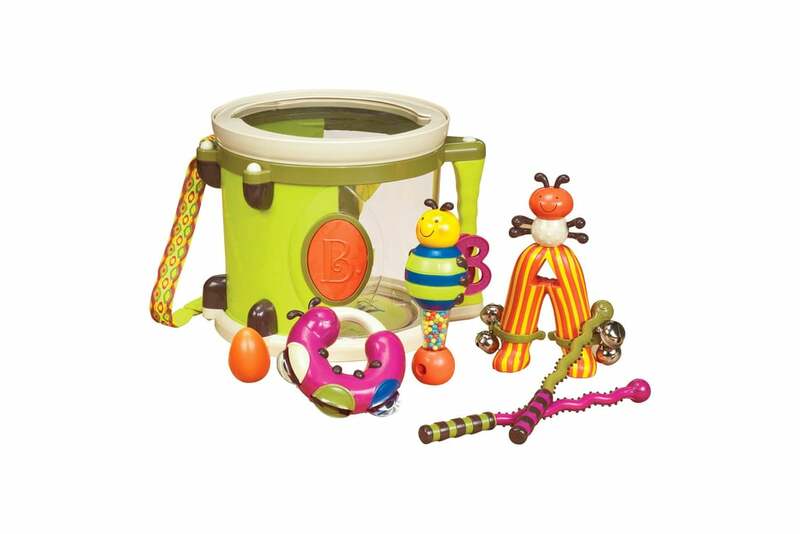 Your little one will be moving to the beat thanks to this Parum Pum Pum ($22) that comes with drumsticks, jingle bells, a maraca with clacker, a tambourine, and a shaker egg. 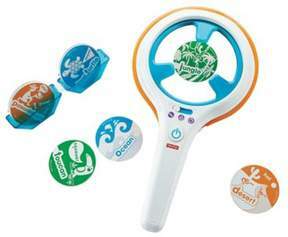 Added bonus: all the instruments have adorable animal designs. 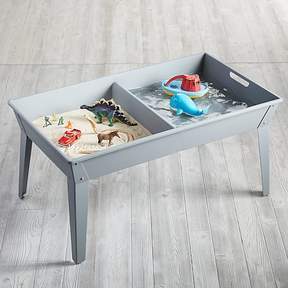 A mat that runs totally on water and eliminates mess is every mom's dream. 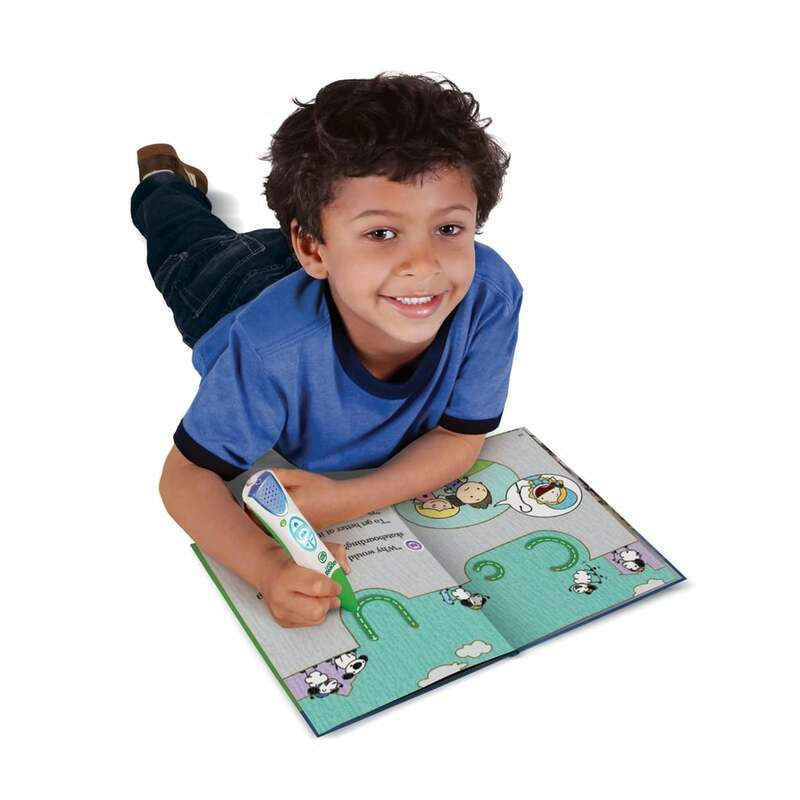 The AquaDoodle Drawing Mat with Neon Color Reveal ($37) also comes with a special for-the-mat-only pen that lets their imagination go wild. They can take a page out of their parents book with the RV Seeing You Camper ($65) that looks just like Mom and Dad's. Remember these amazing rainbow-colored notes from when you were little? 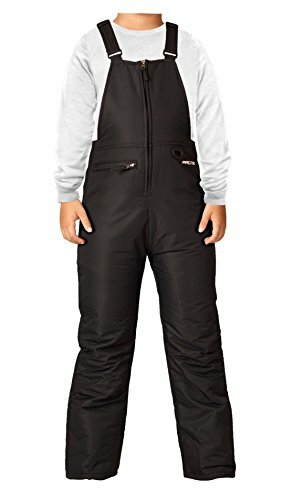 Well they're back in style. 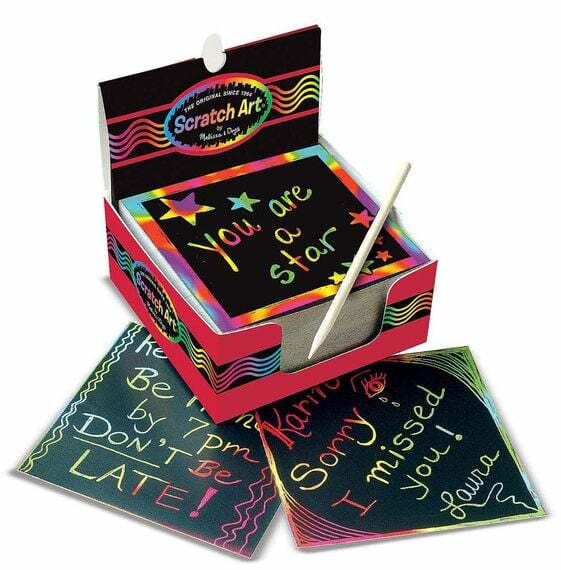 And these Scratch Art Box of Mini Notes ($8) will keep them as entertained for as long as you were as a kid. 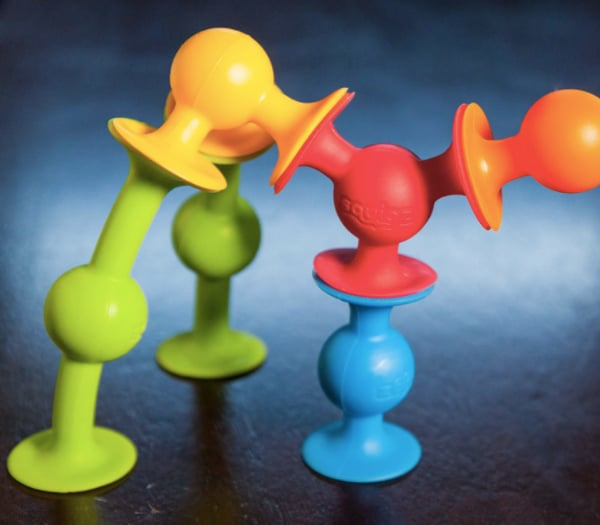 They can build whatever their little hearts desire with a colorful set for Squigz ($25) aka bendy pieces of plastic that connect in all kinds of ways. 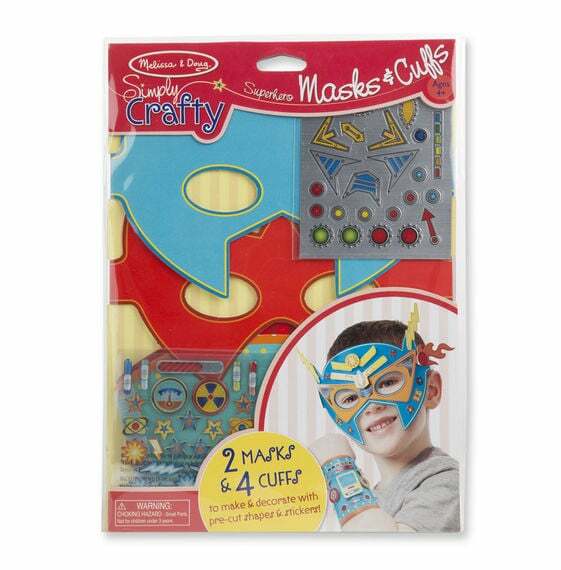 They'll be able to take on their most evil nemesis with a DIY Superhero Mask and Cuff Kit ($5) that allows them to morph into their fave crime fighter. 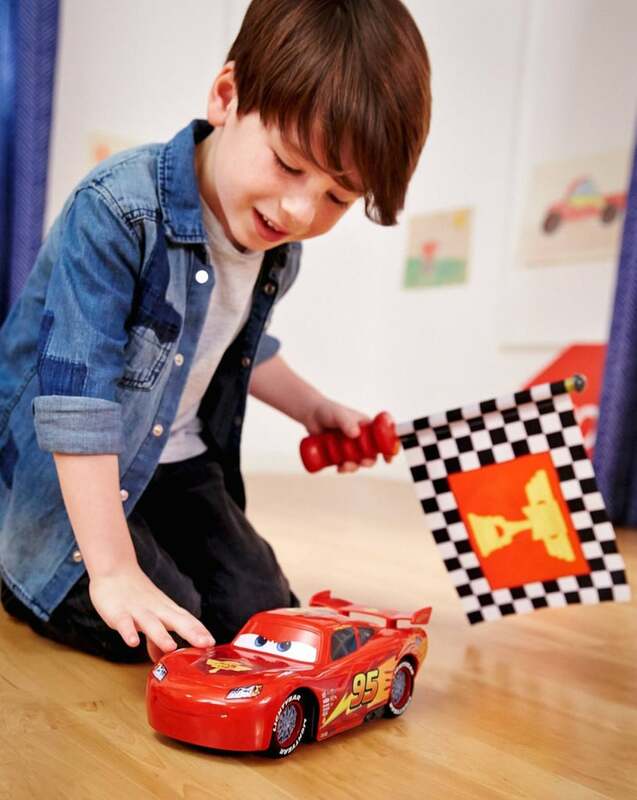 Your kiddo can see Lightning McQueen's ($36) victory dance after making him race competitively for first place. 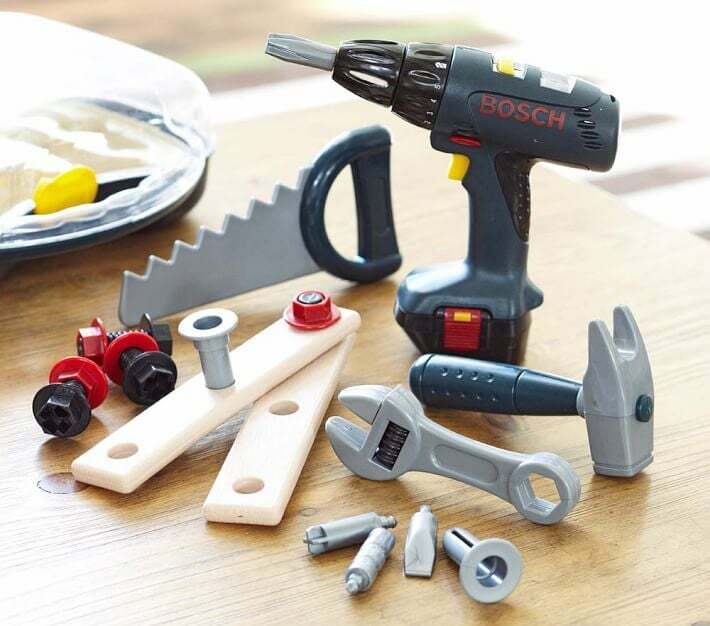 Their very own Bosch Tools Set ($39) can help them help you with all of the things that need fixing around the house. 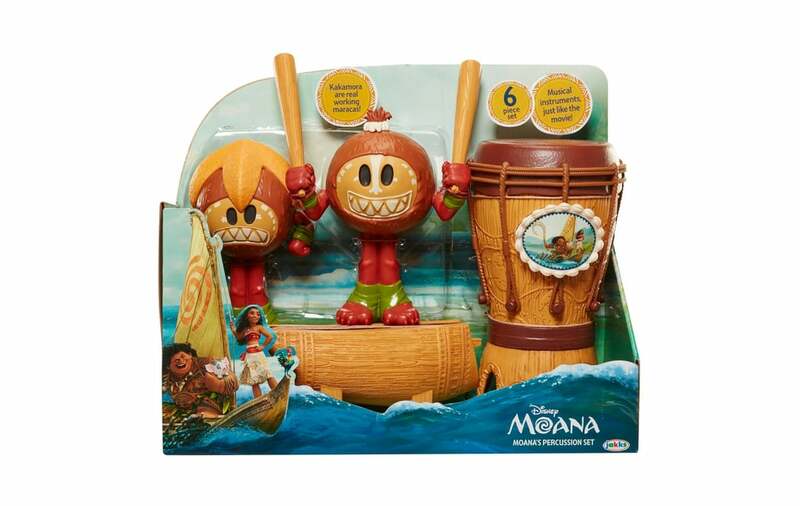 Your child will love singing along to the Moana soundtrack with this Disney Moana Singing Feature Doll Set ($40). 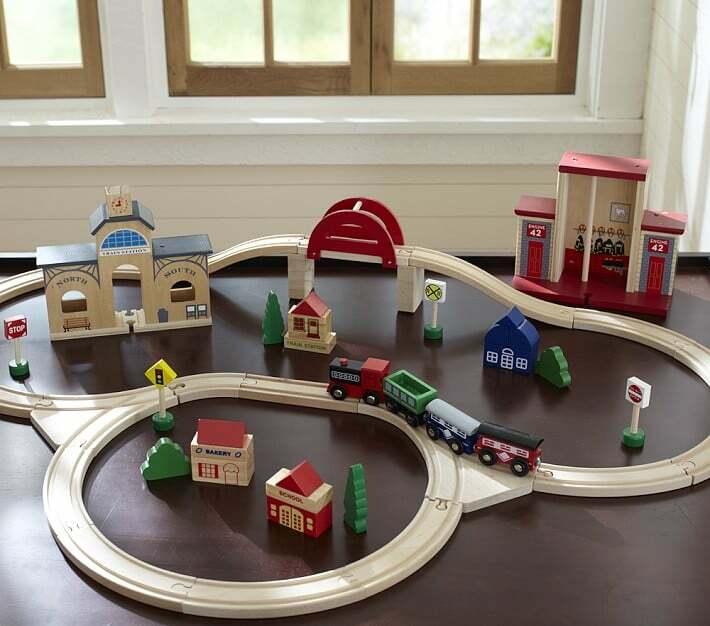 This simple yet beautiful Wooden Play City Train Track Set ($69) comes with 19 double-sided train track pieces, one bridge, two piers, 19 tracks, four road signs, four trains, 14 building blocks and four trees. 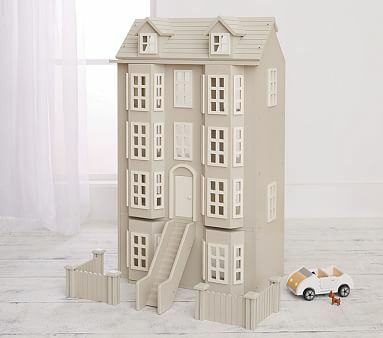 This ain't no ordinary cardboard play house! 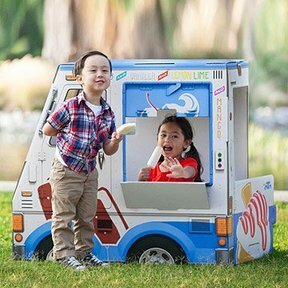 The OTO Ice Cream Truck ($69) is the coolest play house on the block. Made out of strong cardboard and featuring more detail than the trucks parked outside our office right now, this ice cream truck is sure to draw lines of customers — so it's a good thing a few 5-year-olds can fit in it at once! 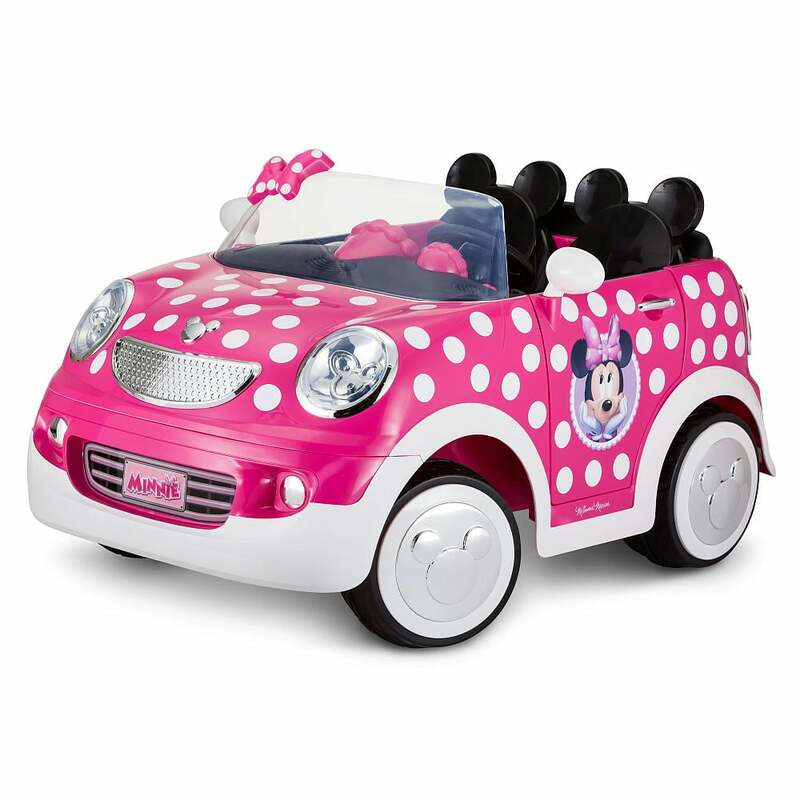 To add some personalization, parents can even create a custom printable license plate for their little one's venture via a section on the company's website. 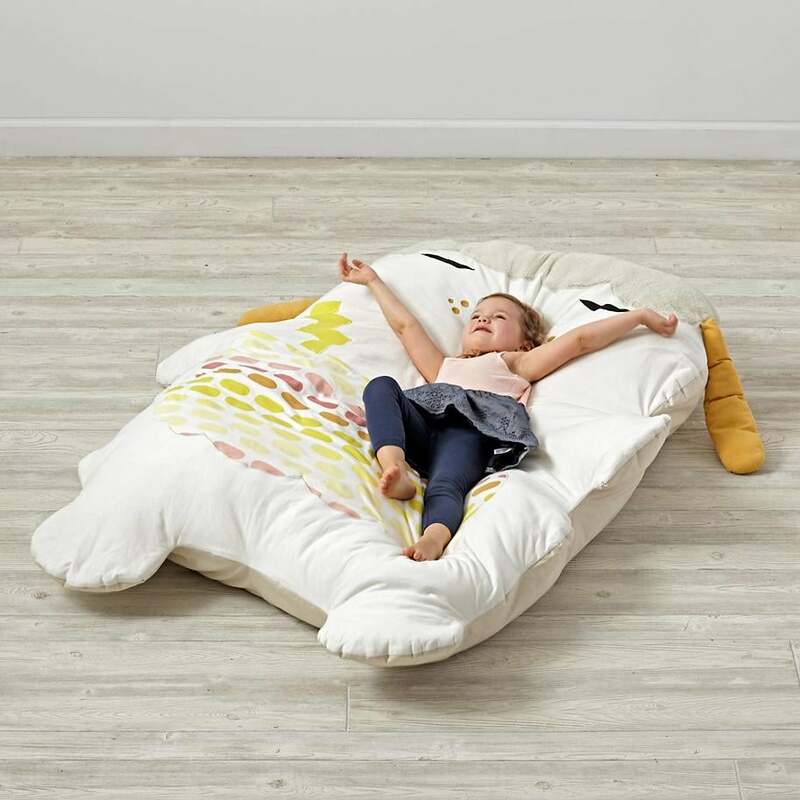 Whether they use it to lay on while they watch YouTube videos on their iPad or to lounge on during family game night, this Soft Sidekick Giant Dog Stuffed Animal ($119) is a comfy place for them to land. 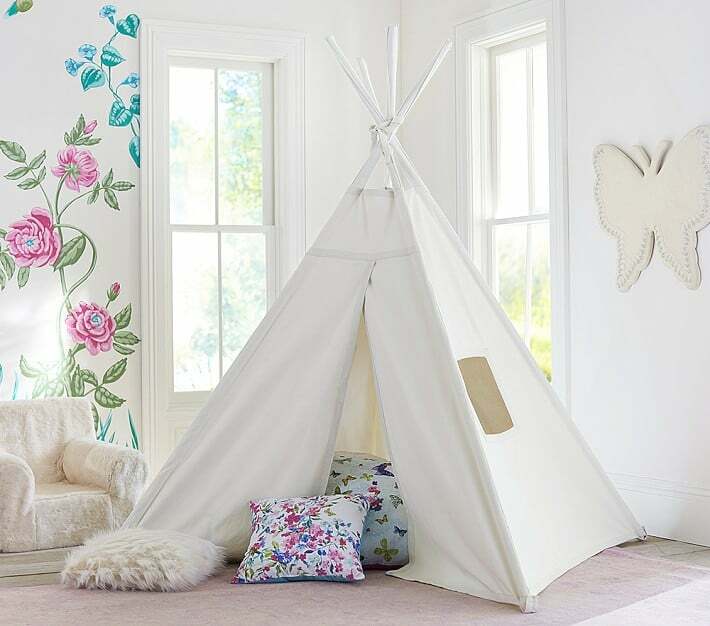 Pottery Barn Kids' White Play Tent ($259) is perfectly sized for kids to play with their friends or even Mom and Dad. How many turtles can you stack? 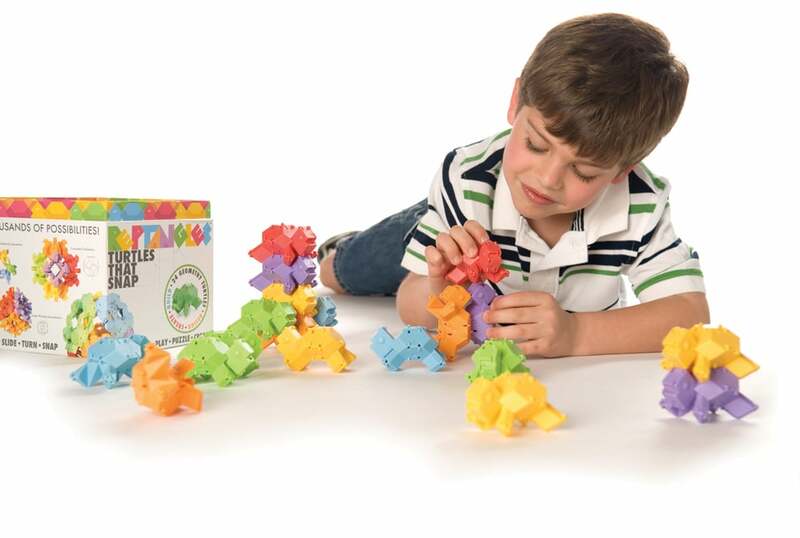 With Reptangles ($26), builders can create more than 1,000 items by snapping and sliding the colorful turtles together. 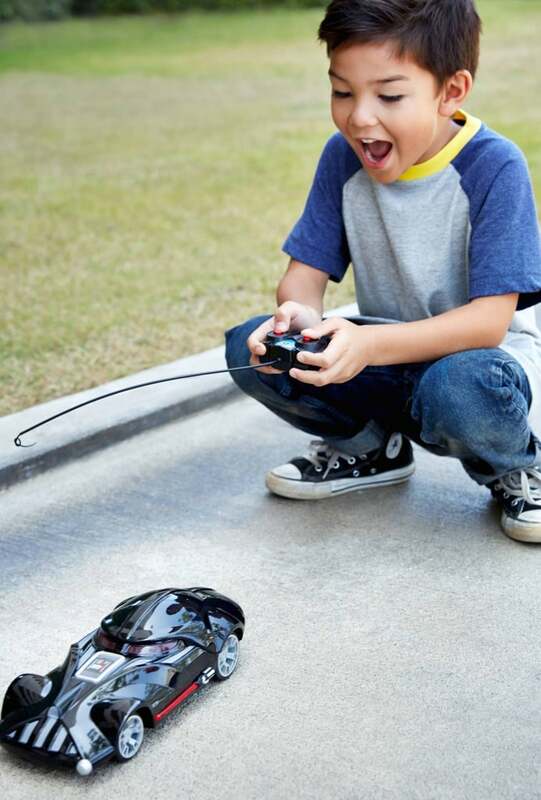 What's cooler than a remote control car? 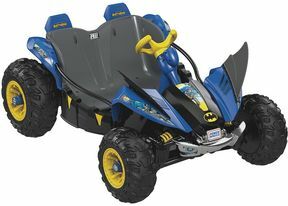 One that's outfitted with lightsabers on the side! 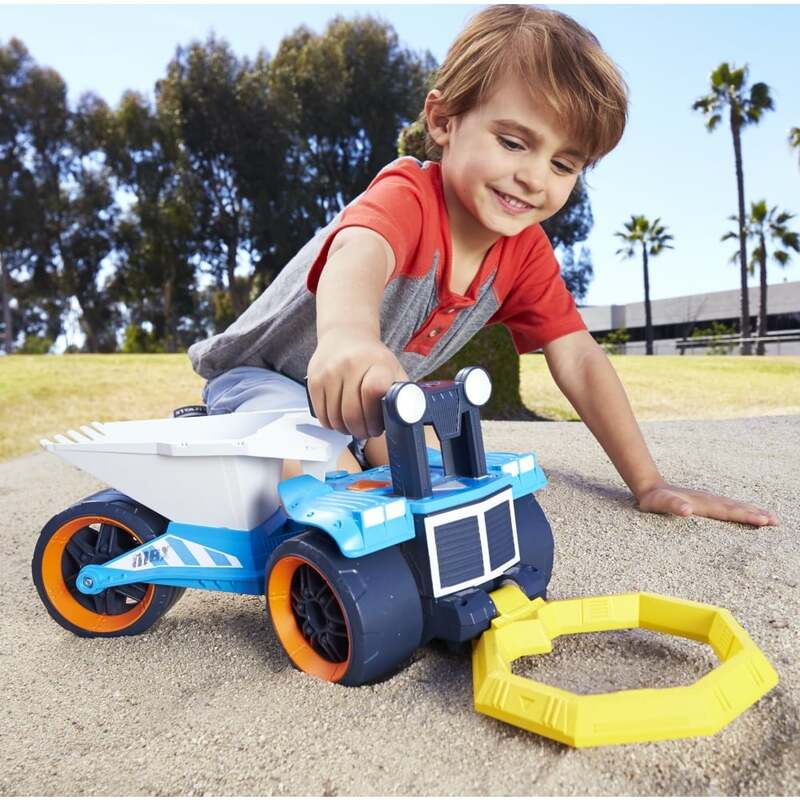 The Hot Wheels R/C Star Wars Darth Vader Vehicle ($22) is packed with authentic sounds from the movie as well as glowing light sabers and the ability to steer forward, left, or right! 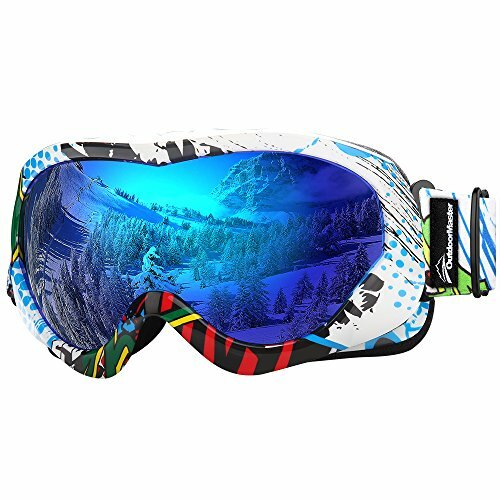 Thanks to a licensing agreement with the NHL (and there aren't too many of those out there! 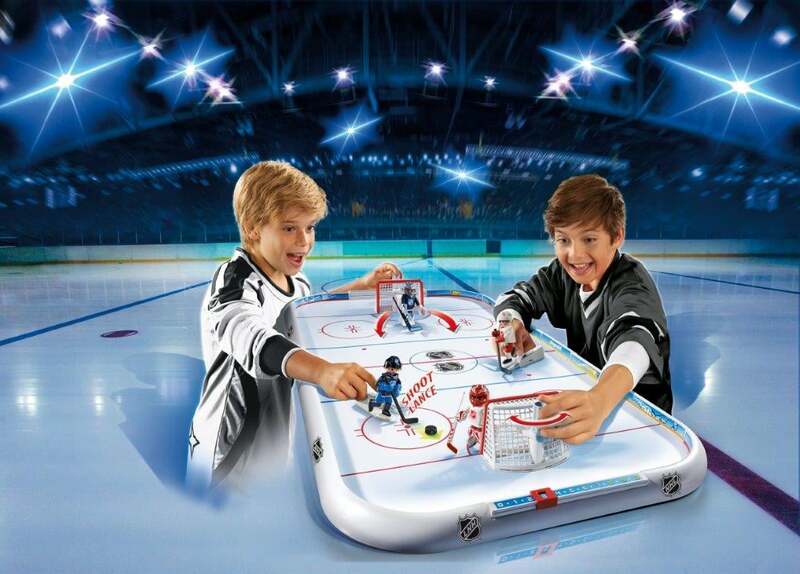 ), Playmobil introduced the NHL Arena ($60). 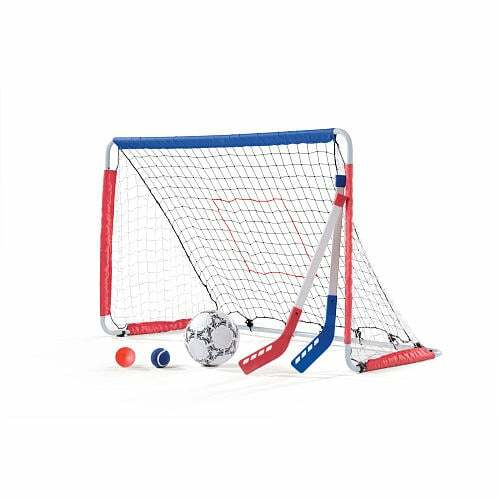 The set comes with movable figures that can actually shoot the puck into the goal and stickers so you can outfit the ice to represent your kids' favorite teams. 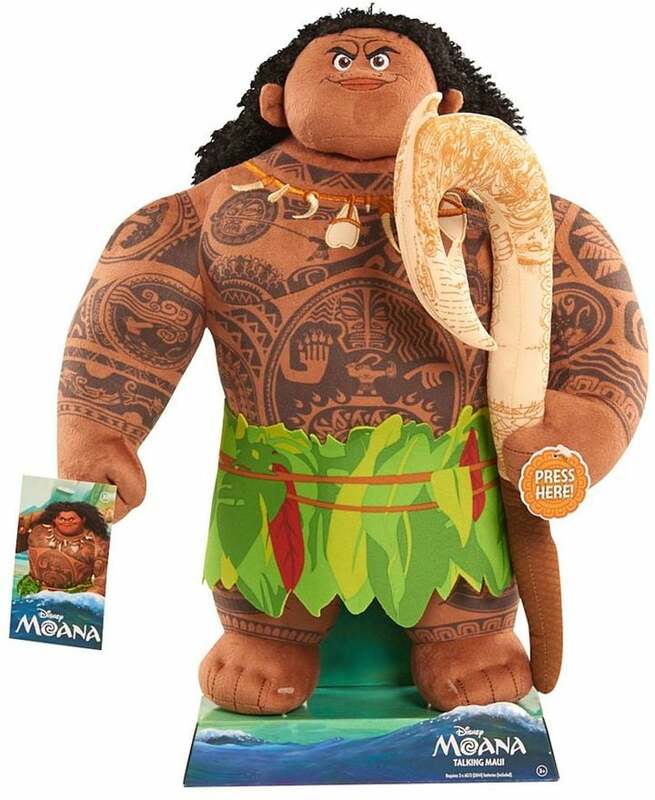 This Talking Maui Plush Toy ($33) is super soft and just as funny as full-size Maui. 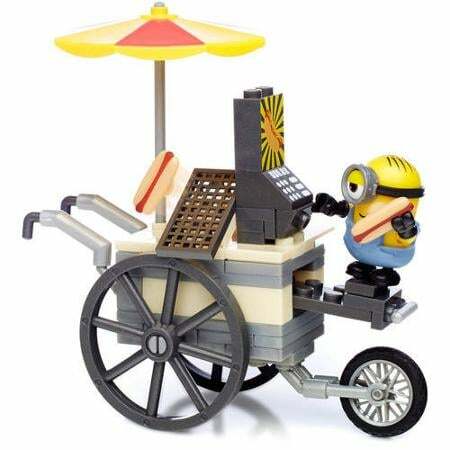 The Minions get themselves into the funniest situations, and we have a feeling this Mega Bloks Minions Flying Hot Dogs set ($8) was probably inspired by a very funny scene! 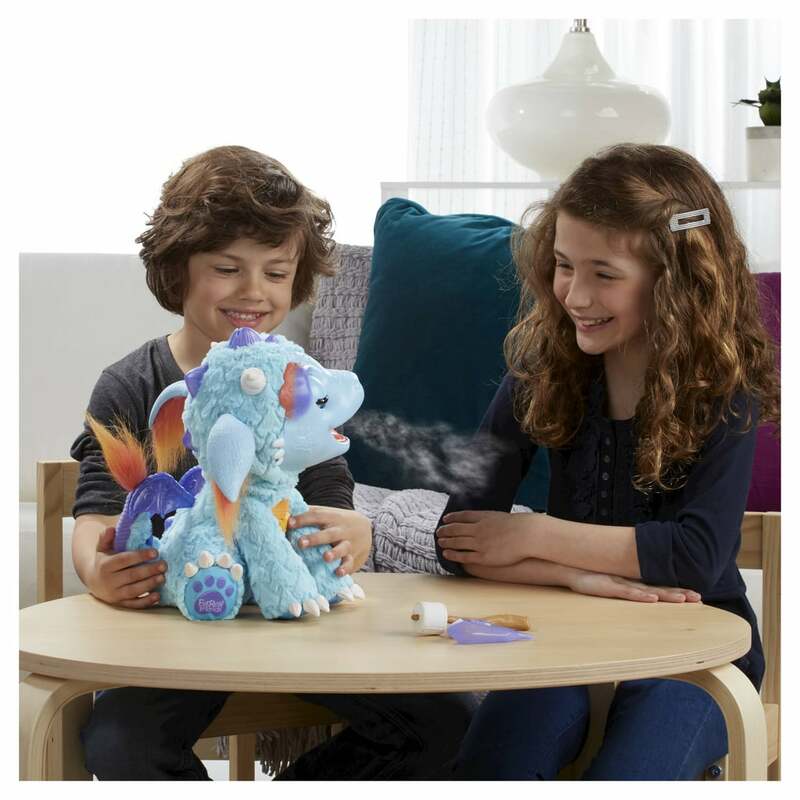 The FurReal Friends Torch, My Blazin’ Dragon ($63) is all of the fun of having a real pet dragon (OK, so we don't know what that would be like). 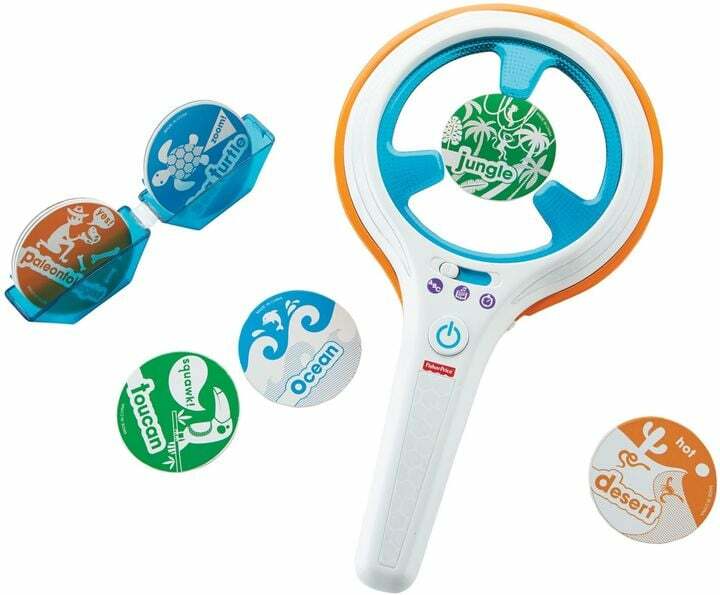 Torch breathes fire (kind of), toasts marshmallows, and moves in response to your child's touch. 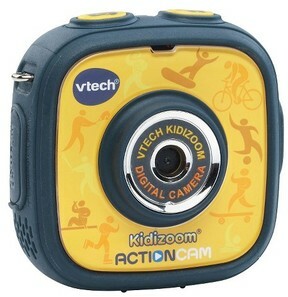 VTech's Kidizoom Action Cam ($35) is essentially a GoPro for kids. 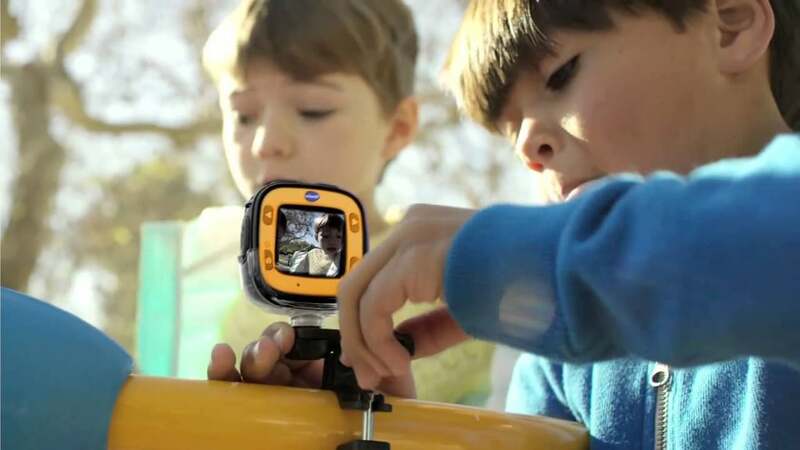 The camera comes with everything you need to attach it to their scooter, bike, or helmet so they can record their epic rides as photos, videos, or stop-motion films as they ride around town and play them back later. 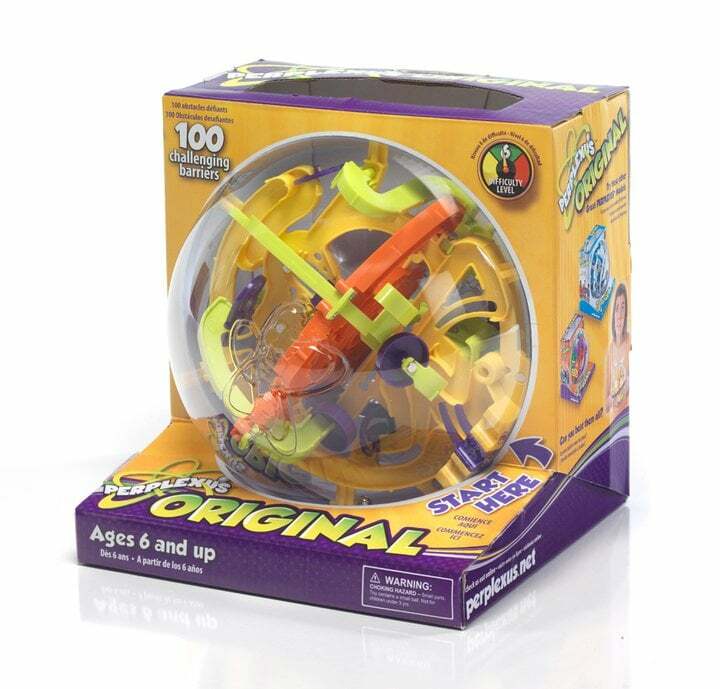 Mazes don't get much more fun than the Perplexus Maze Game ($20), where tots have to guide a marble ball through a see-through globe. 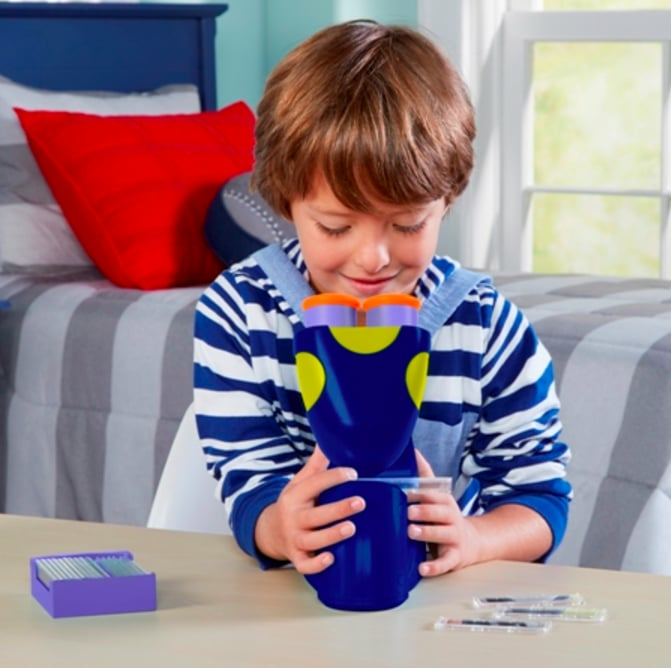 The Educational Insights GeoSafari Jr. Talking Microscope ($45) will help your little one to learn kid-friendly facts about nature straight from Bindi Irwin, whose voice speaks from the microscope. 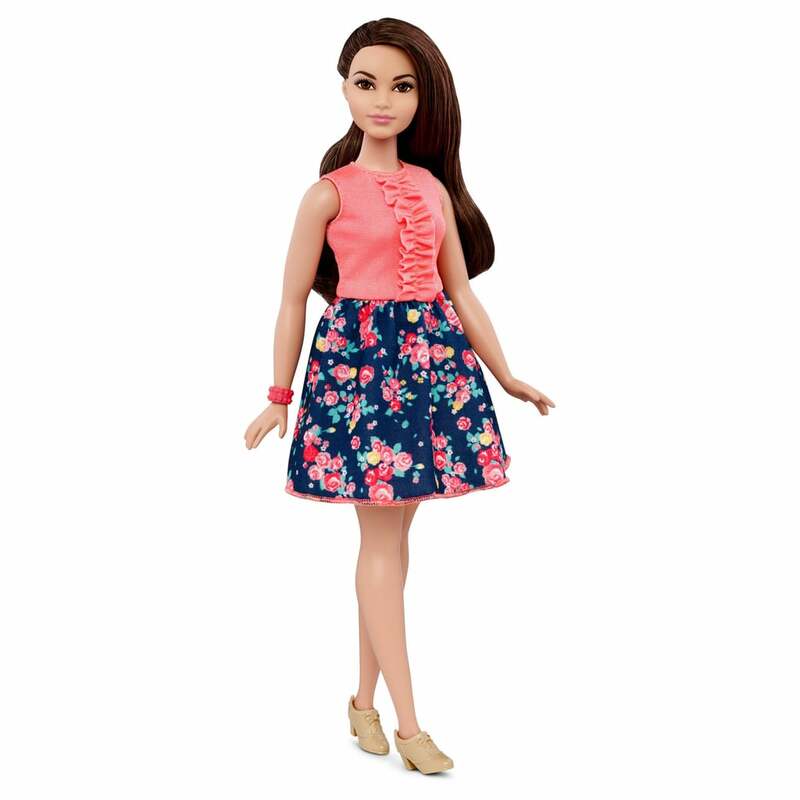 The Barbie Fashionistas Dolls ($9) feature different body types and ethnicities so that your child's Barbie can really look just like the women they know — in really fashionable outfits, obviously. 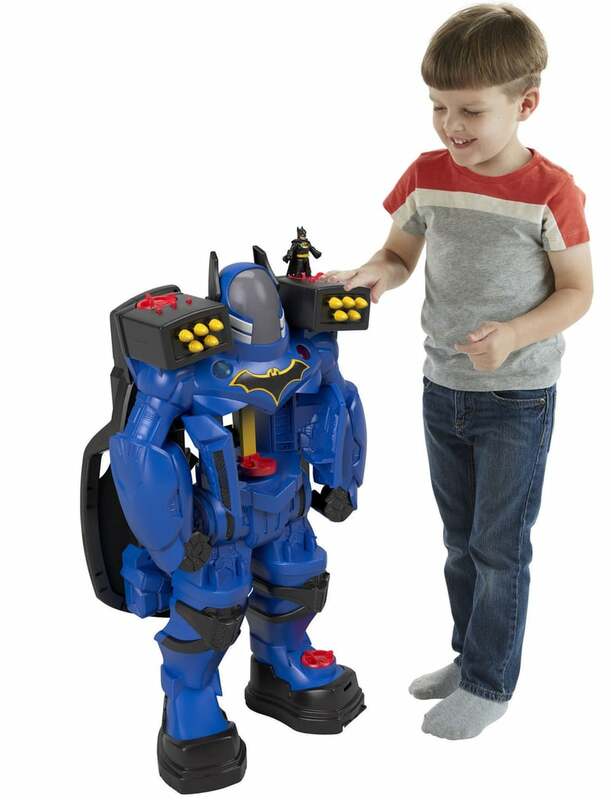 Warning: this is not a toy. 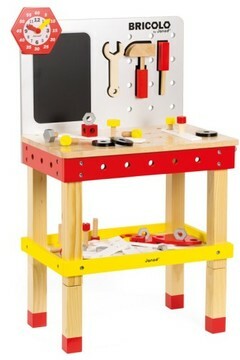 It is a full-fledged tablet designed with kids in mind. 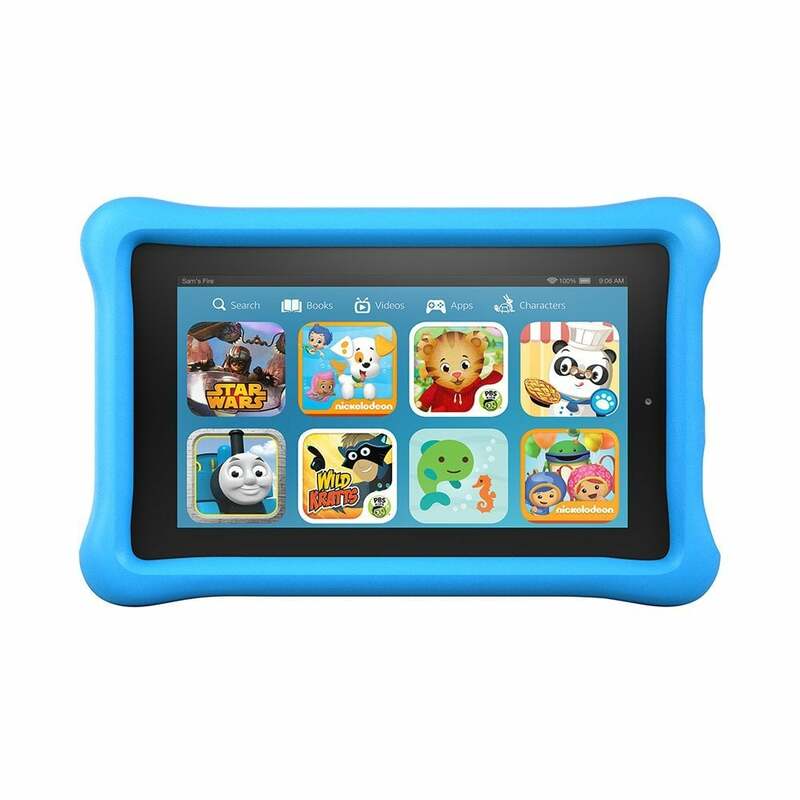 The Amazon Fire Kids Edition ($100) gives tots unlimited (free!) 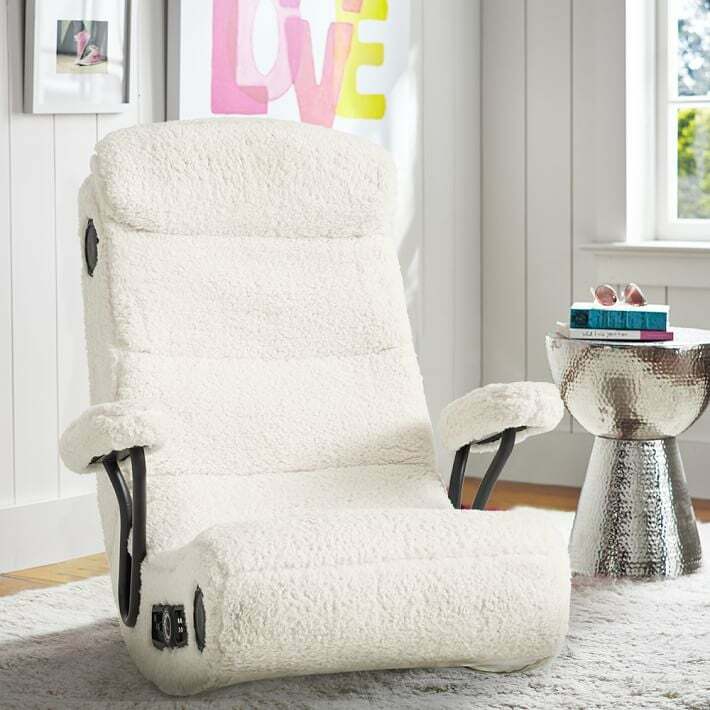 access to more than 10,000 books, movies, apps, and TV shows. But it also includes strict parental controls so parents can limit what their kids see based on their ages and maturity levels. 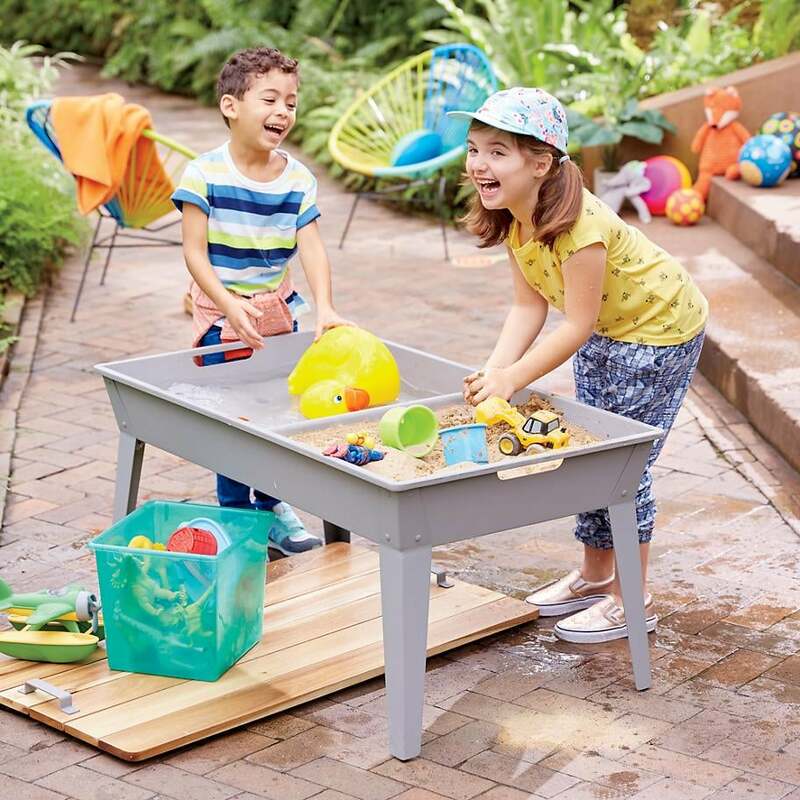 It also has front and rear cameras, so they can photograph, record, and share their activities with loved ones — or video chat with grandparents. 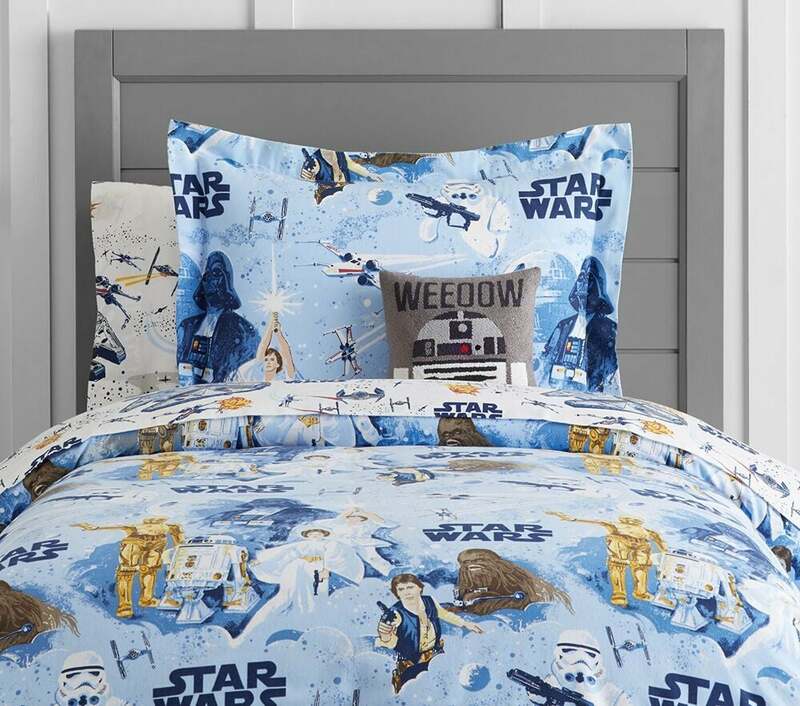 Pottery Barn's latest collection features anything and everything Star Wars. 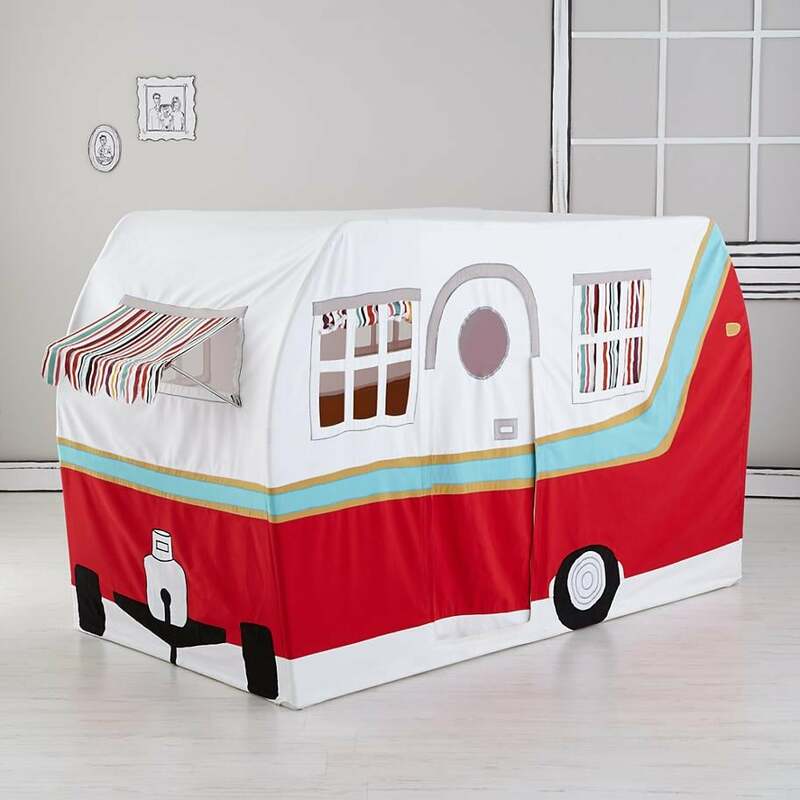 Take their bedroom to the next level with a gorgeous Organic Flannel Episode 8 Scenic Duvet ($89) that gives their space a retro touch. 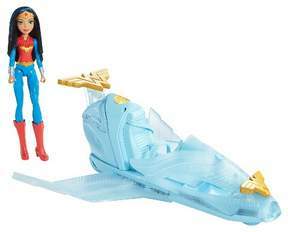 The DC Super Hero Girls Wonder Woman Action Doll ($30, originally $40) can't go anywhere without her invisible jet! 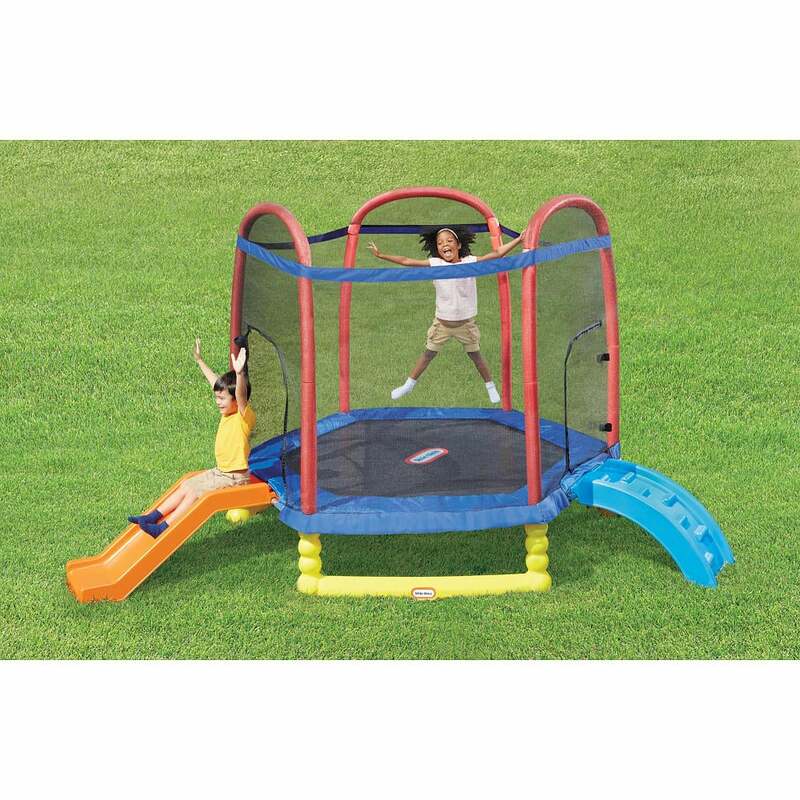 The Superstar Stage ($299) is the perfect aide to kiddo's who love engaging in imaginative play. 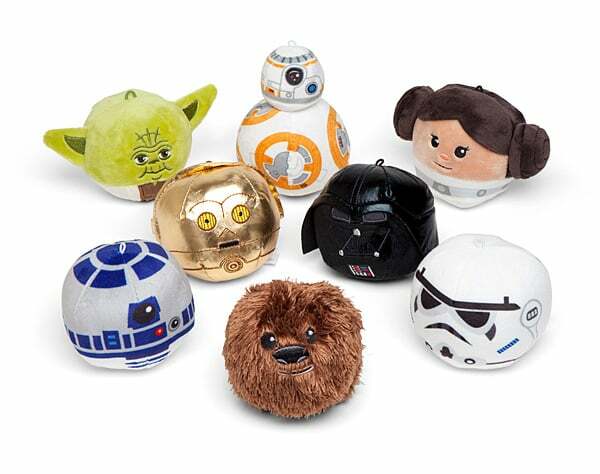 This adorable pack of Star Wars Fluffballs ($30) are superplush whether they're being flung around your living room or hung up as ornaments. 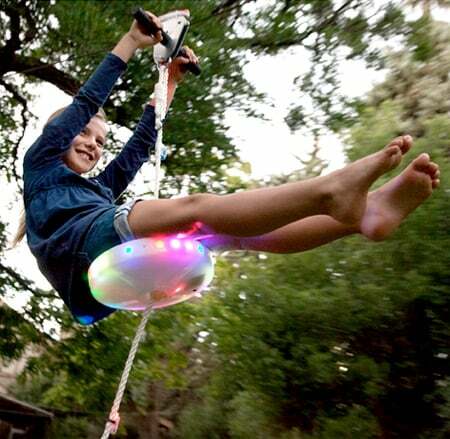 You've never seen a remote-control animal quite like the Zoomer Chimp ($70, originally $120). 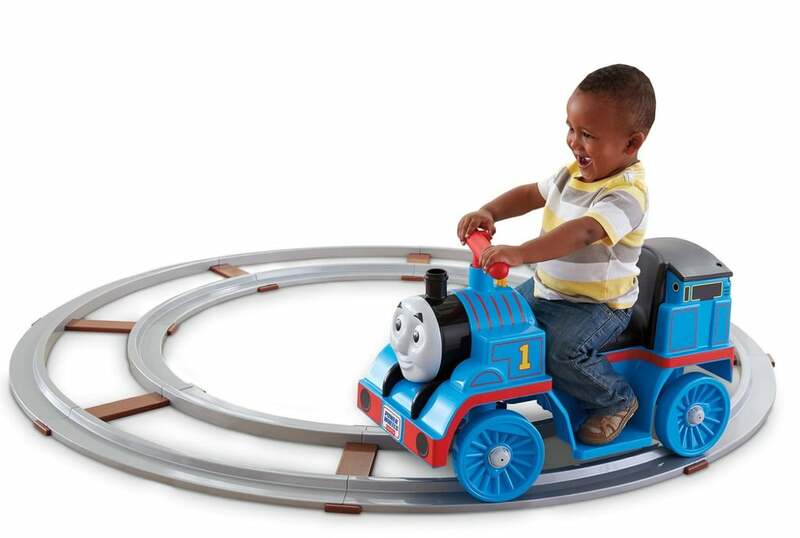 With some work, your little one can actually "train" this chimp. 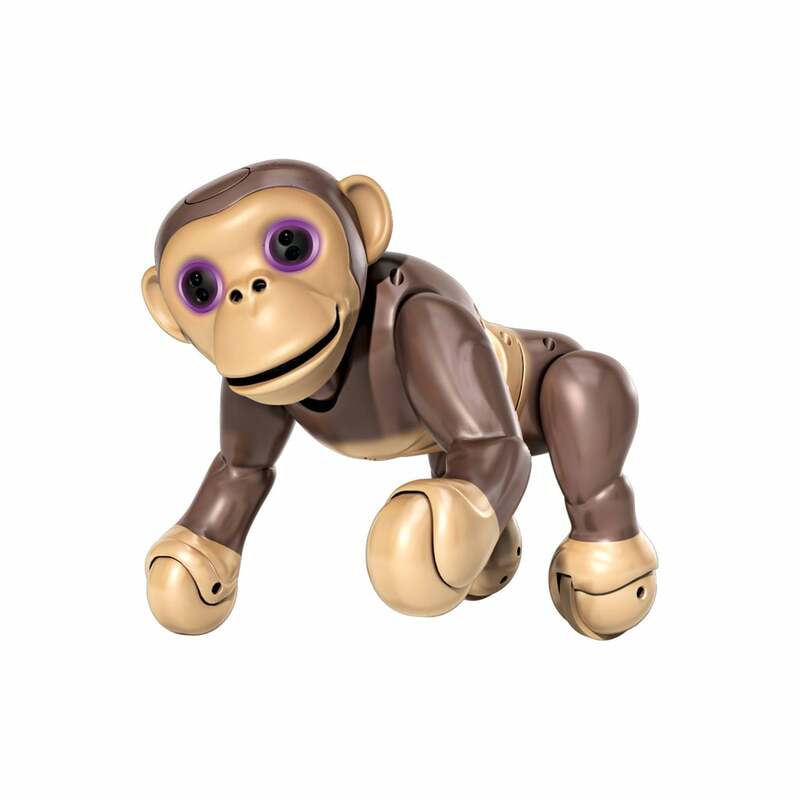 Zoomer Chimp will respond to voice commands and lets you know exactly how he’s feeling with his color-changing eyes. 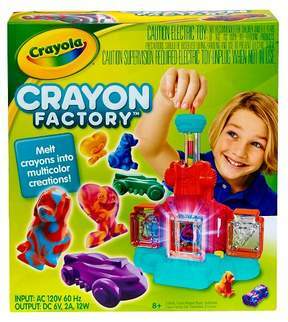 If your tot has ever said that they wished they could make their own crayons, here's their chance. 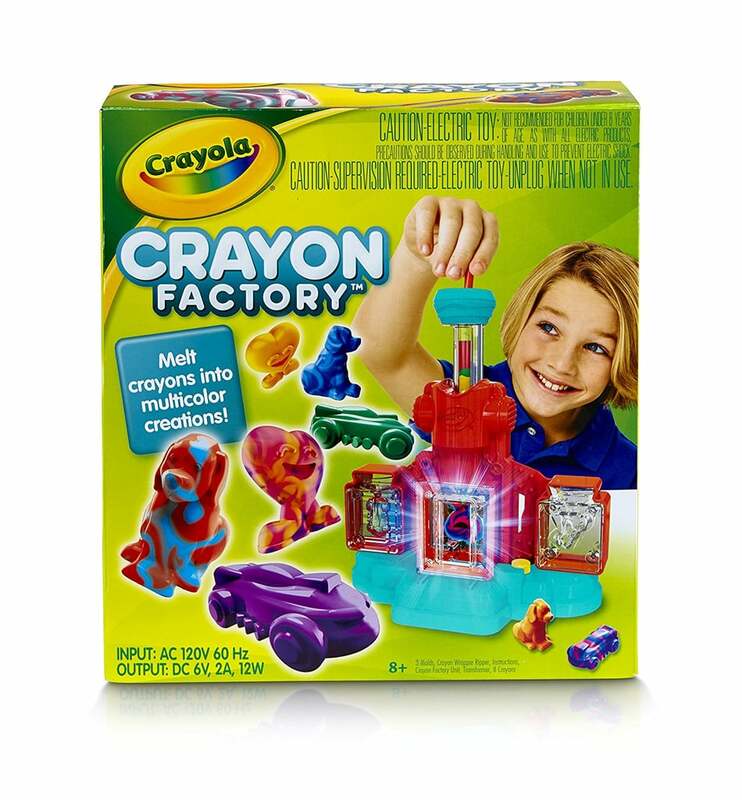 The Crayola Crayon Factory ($31) allows kids to create the crayons of their dreams with recycled, broken crayons. 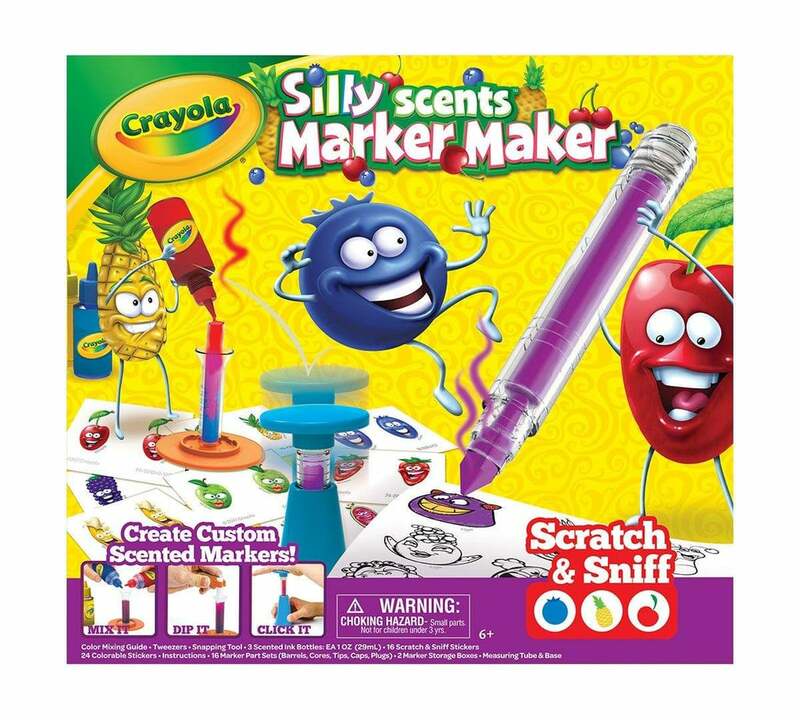 Simply stick the wax in the maker and wait for the final product — shaped like a car, puppy, or heart — to be finished. 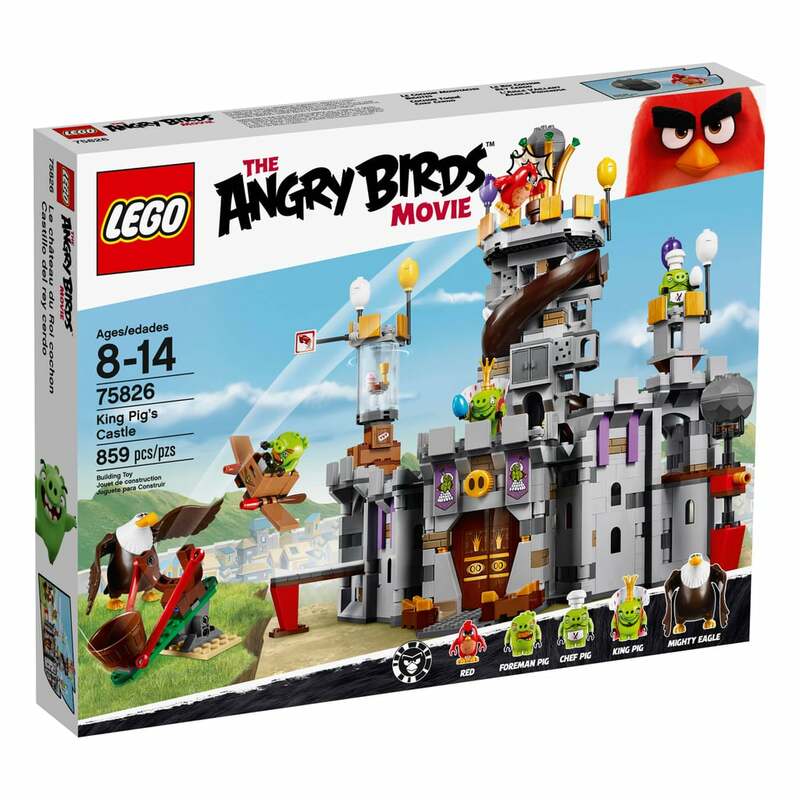 The Angry Birds rage is still going strong thanks to last year's movie release, and the Lego products surrounding the film are super popular. 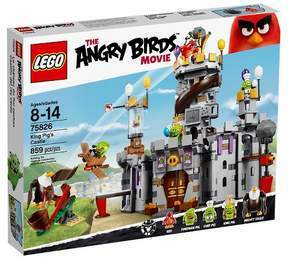 The Lego Angry Birds King Pig's Castle set($67) has 859 pieces to keep kids busy until the end of the holiday vacation. 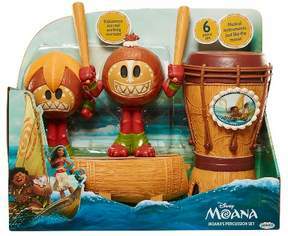 Your child can learn how to play the drums with this Percussion Set ($14) inspired by the Kakamora. 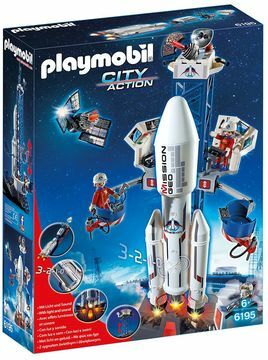 Playmobil's City Action Space Rocket With Launch Site ($60) features working lights and sounds and a movable maintenance platform to simulate an actual shuttle launch. 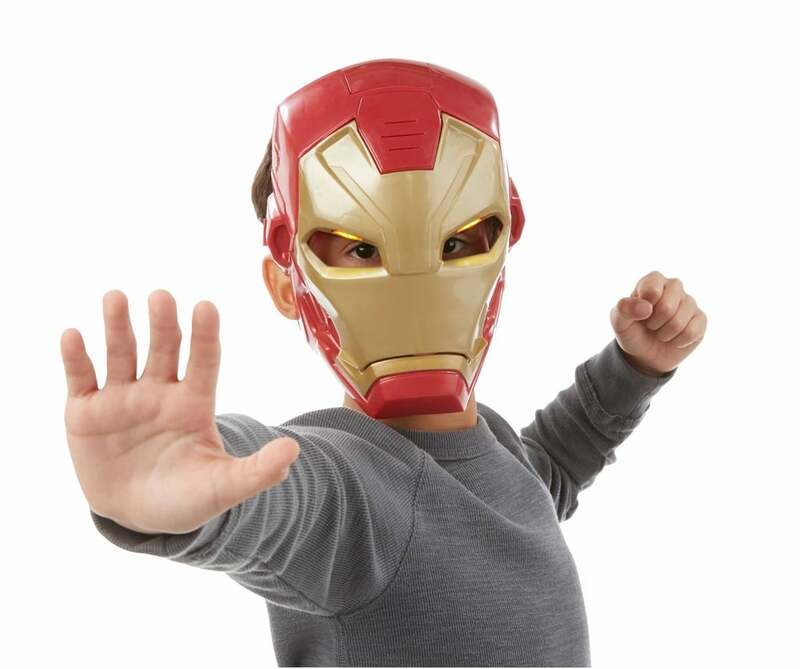 With the Marvel Captain America: Civil War Iron Man Tech FX Mask ($14) your child can engage in some seriously cool imaginative play. 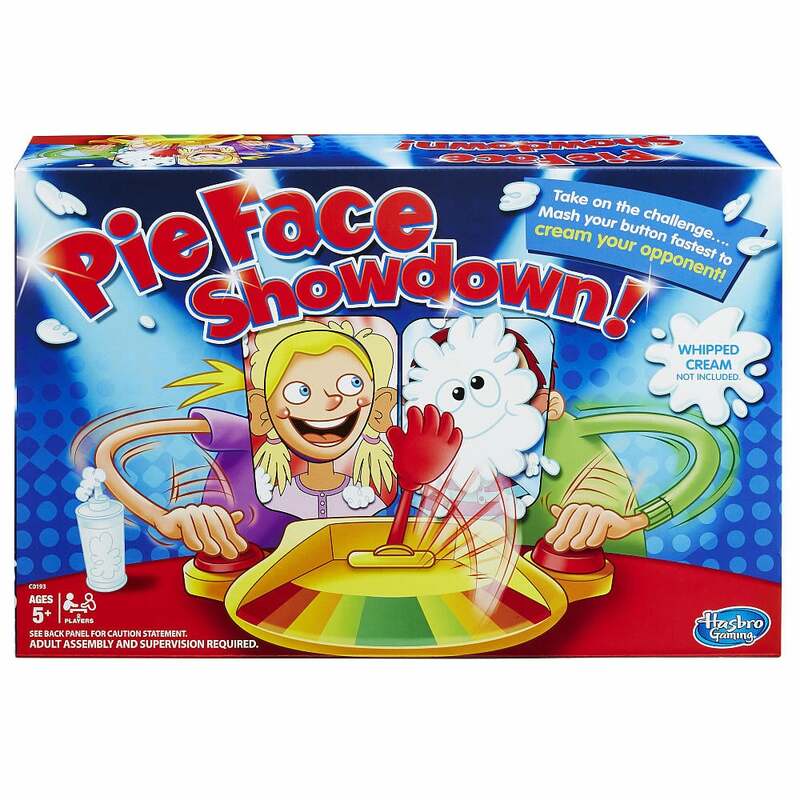 Riding off the success of the first Pie Face game, Pie Face Showdown ($25) allows two players to go head to head before one gets pied in the face! 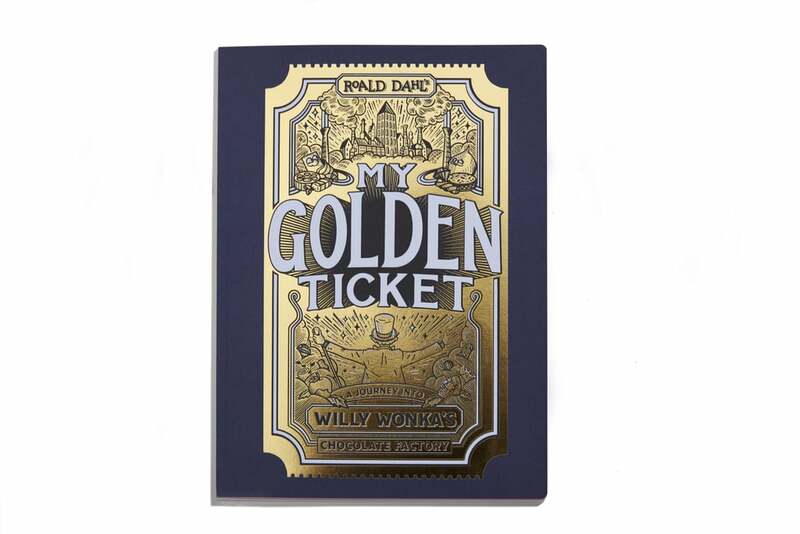 Take your kid through Willy Wonka's famous chocolate factory with a personalized copy of My Golden Ticket ($29, softcover; $36, hardcover), made just for them.